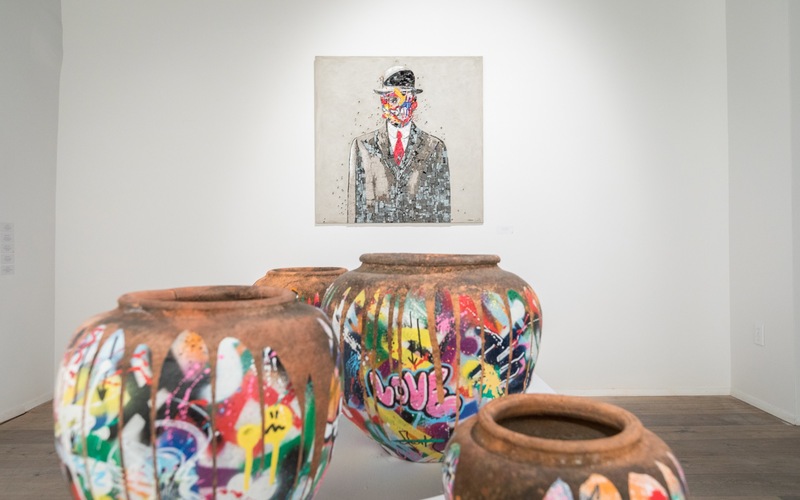 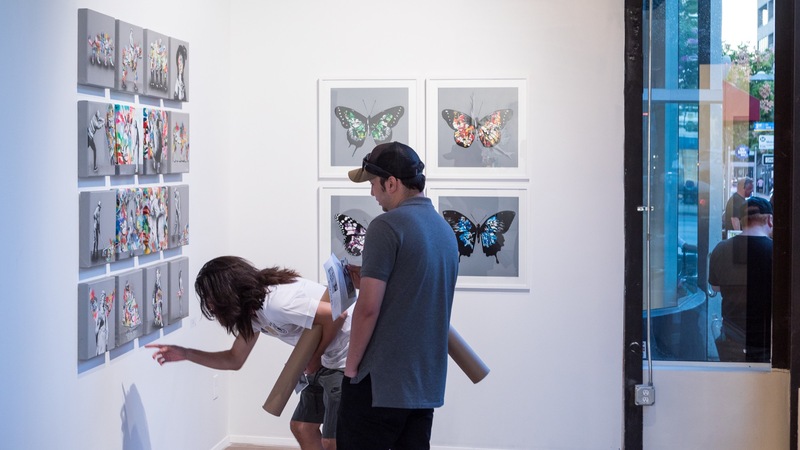 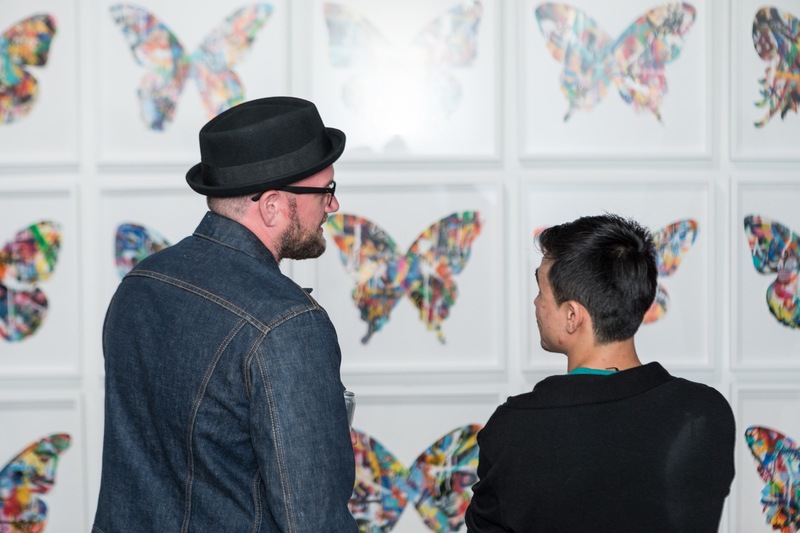 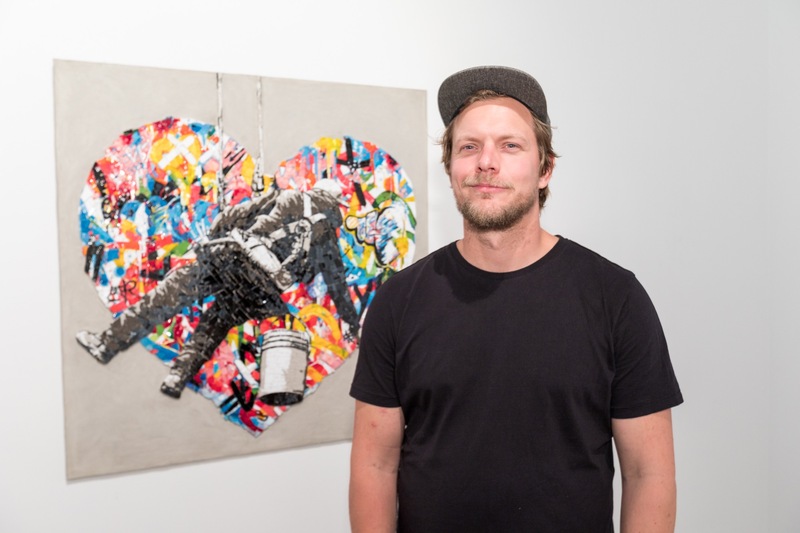 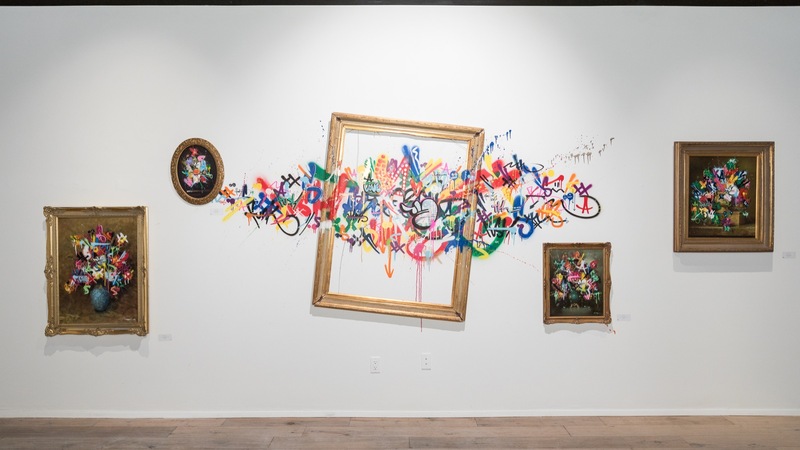 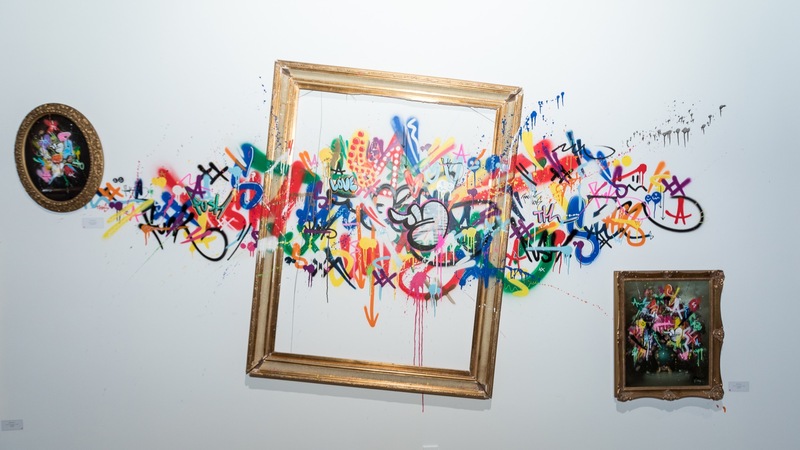 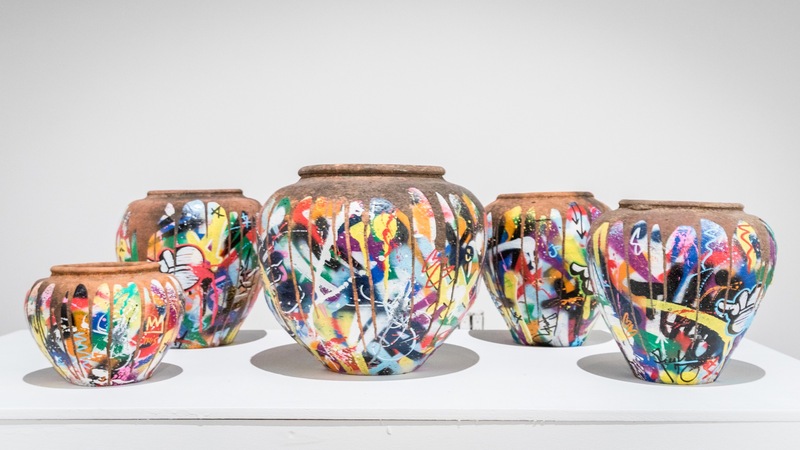 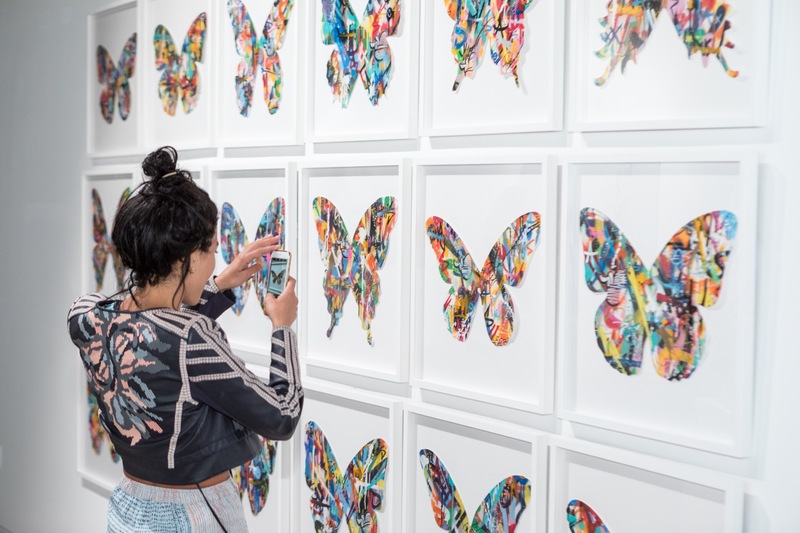 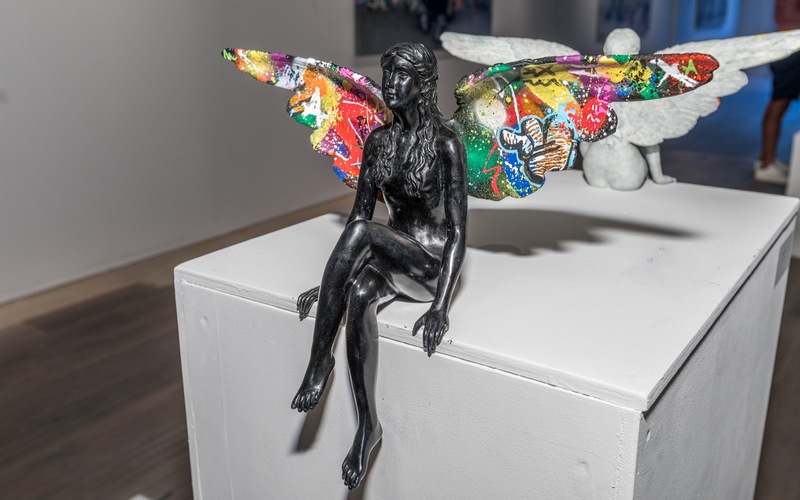 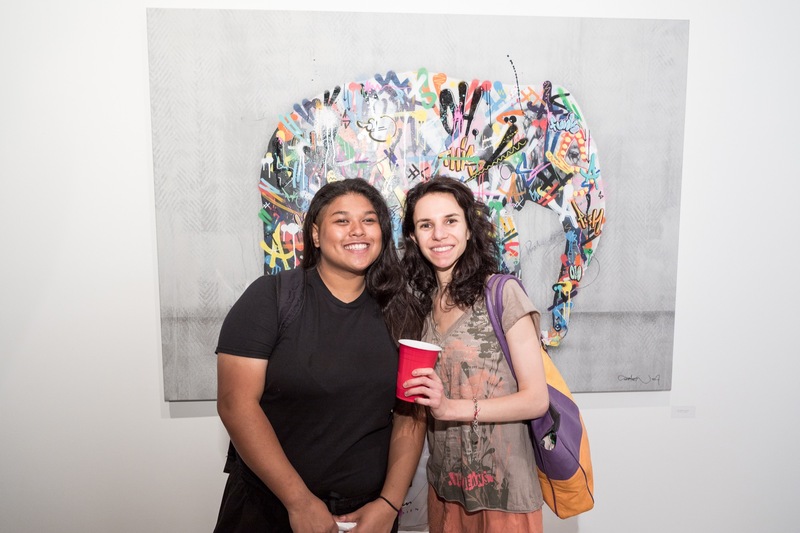 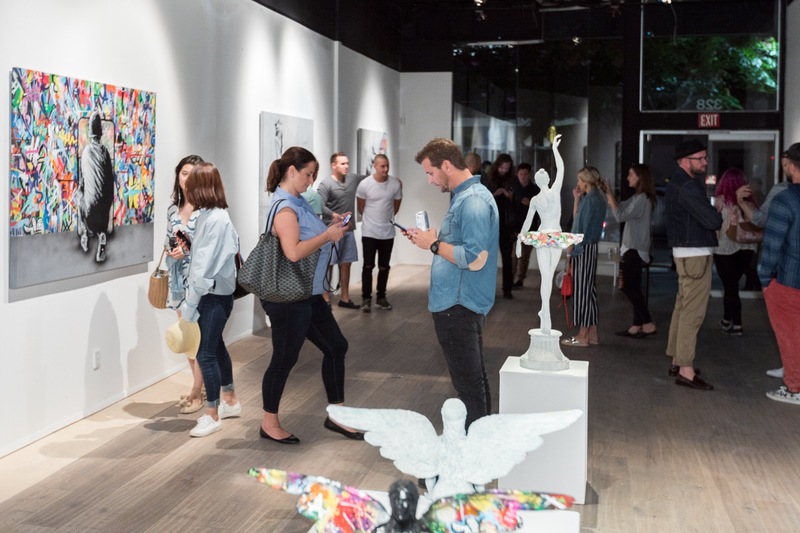 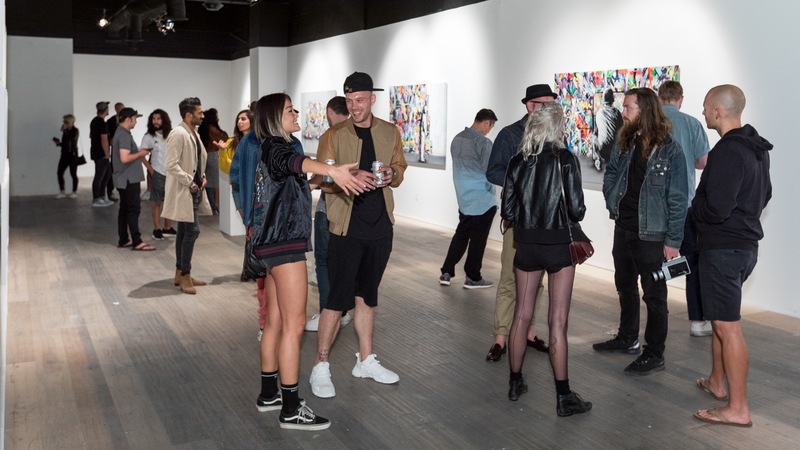 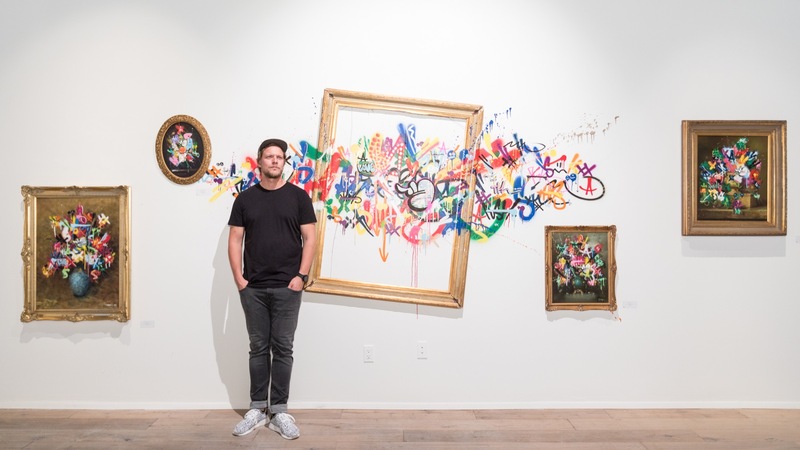 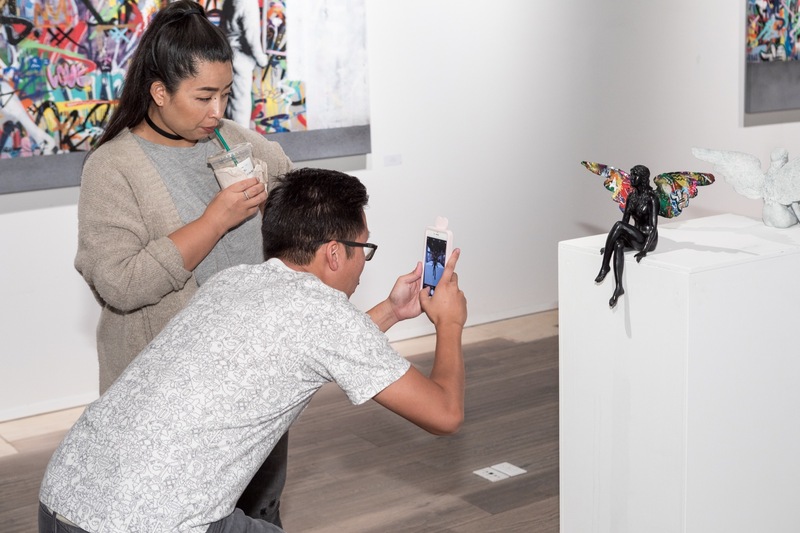 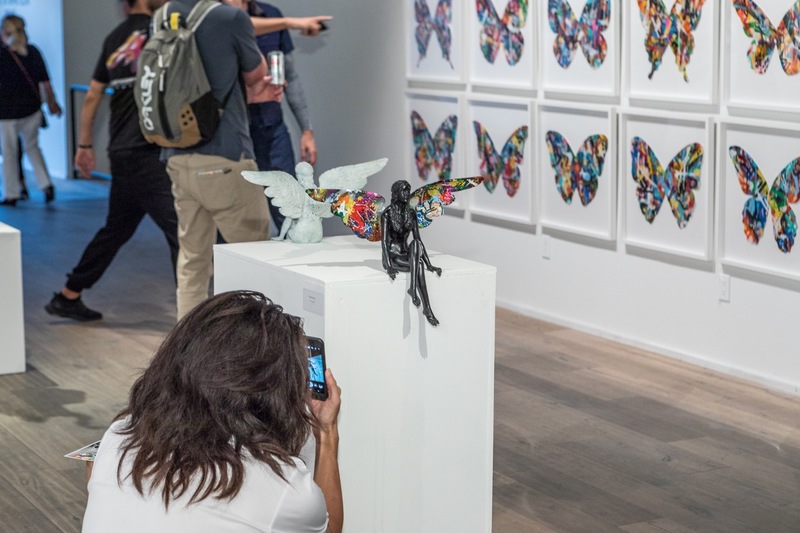 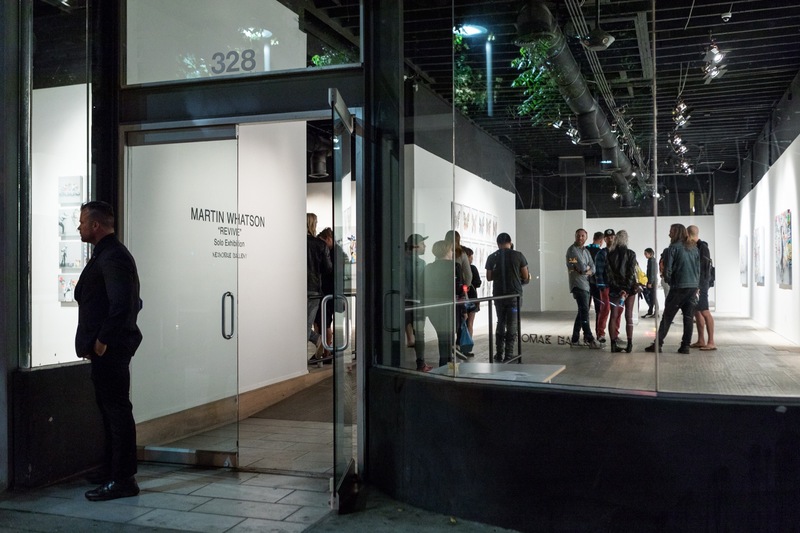 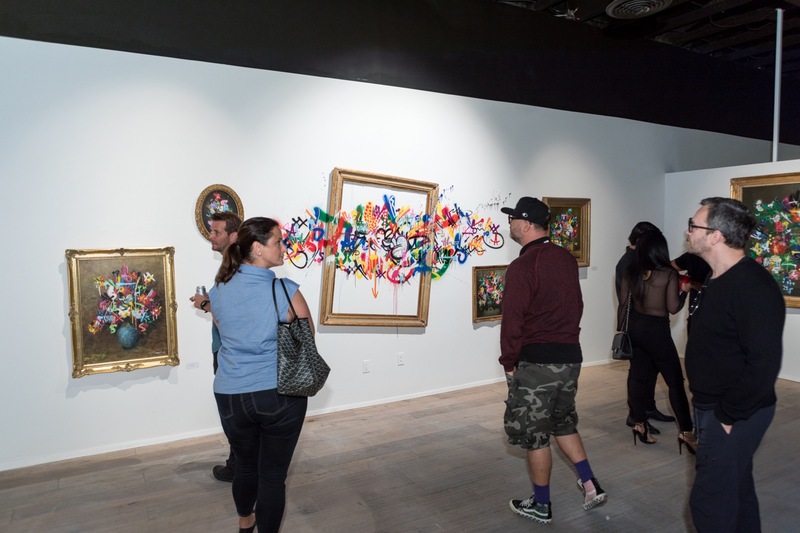 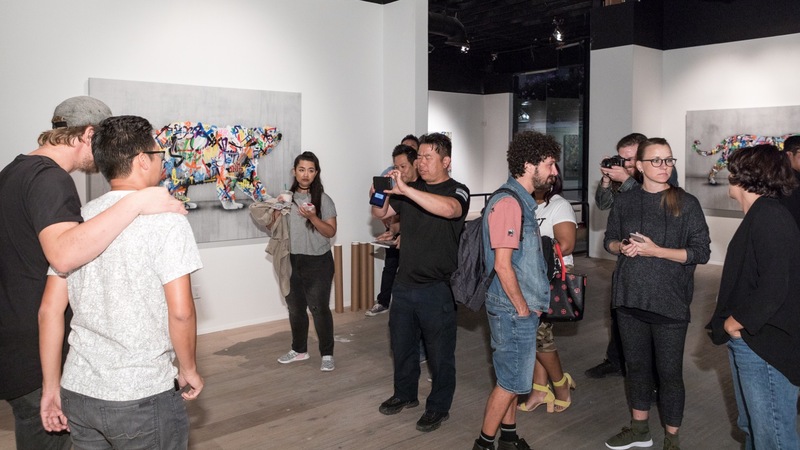 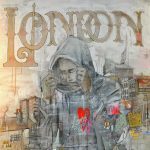 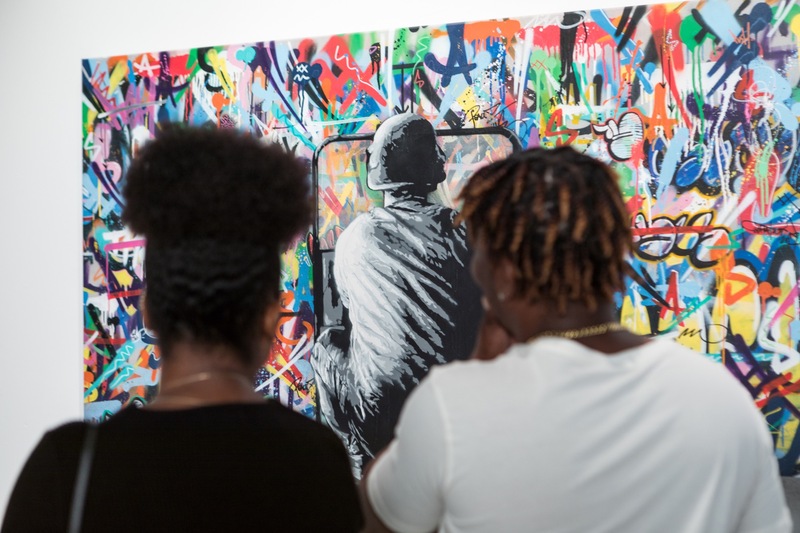 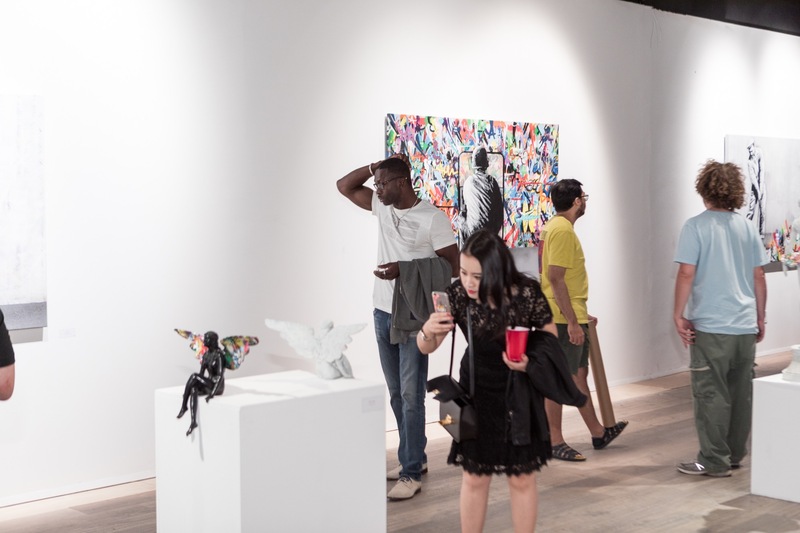 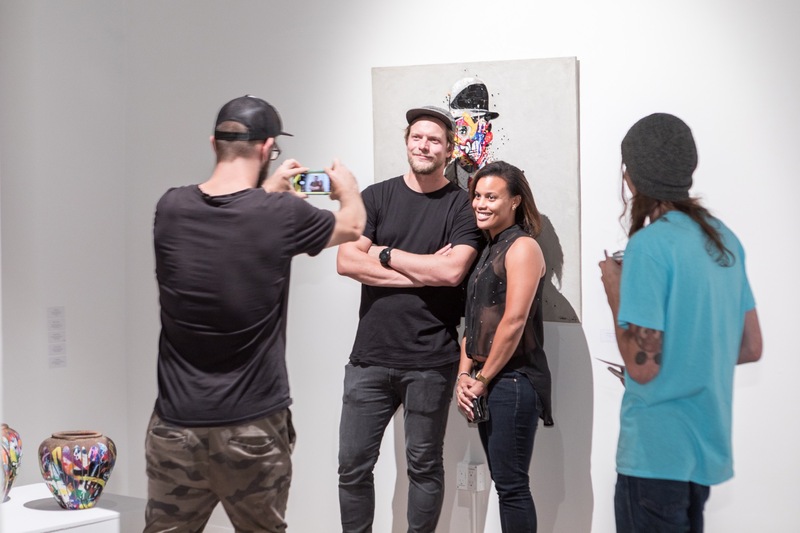 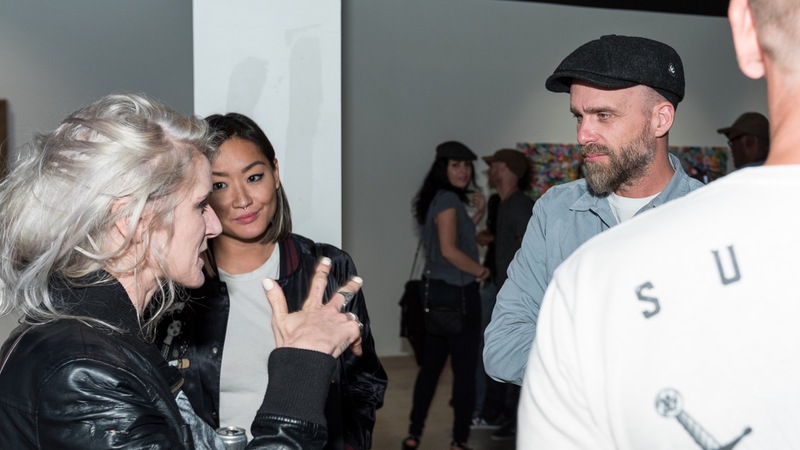 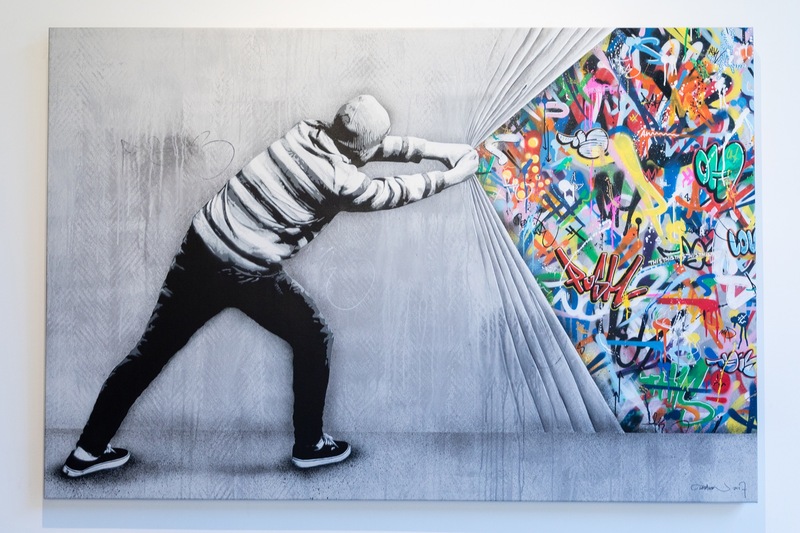 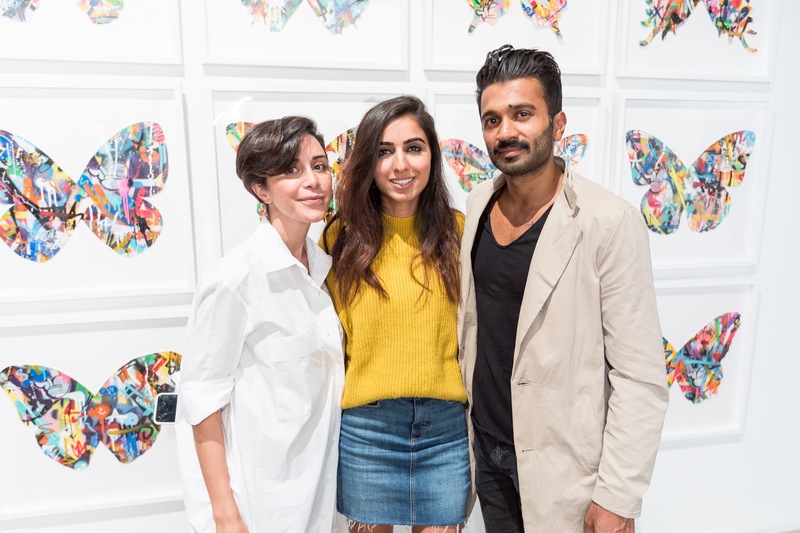 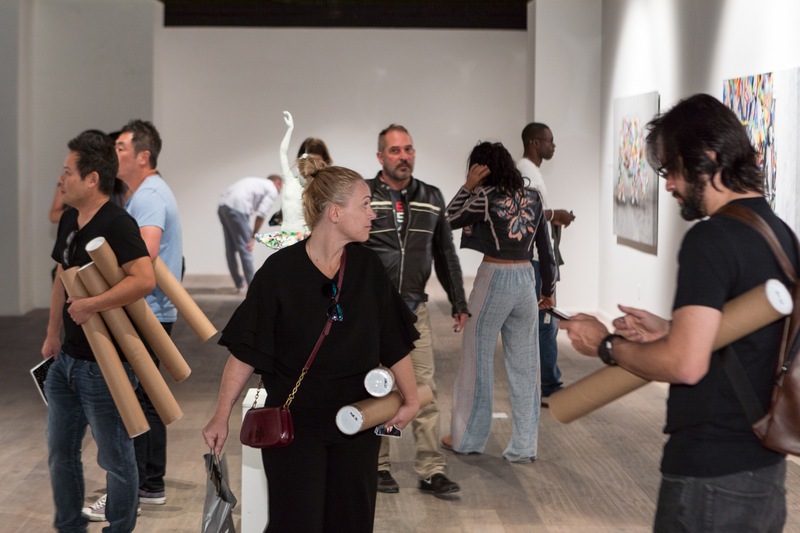 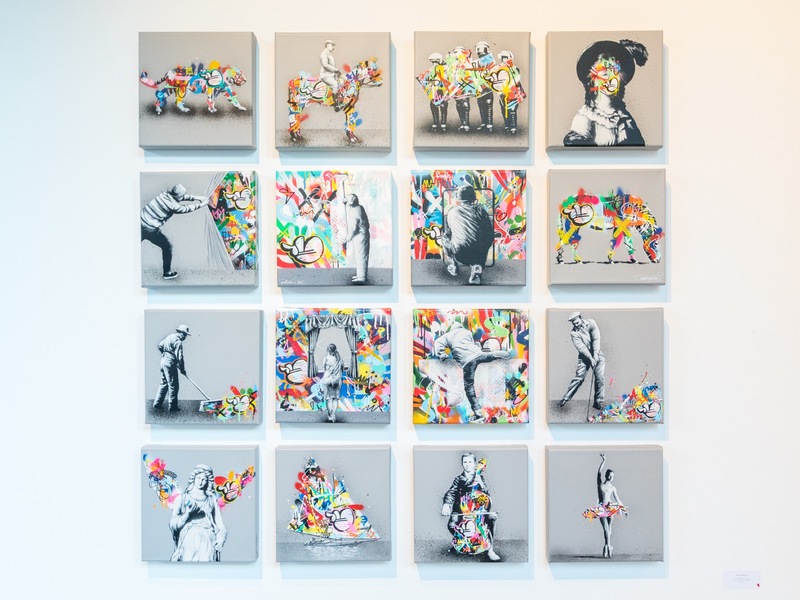 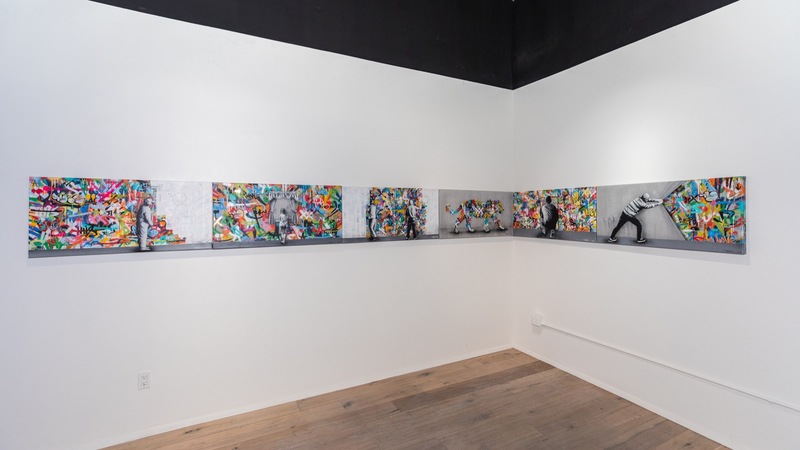 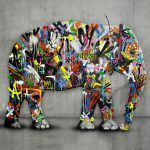 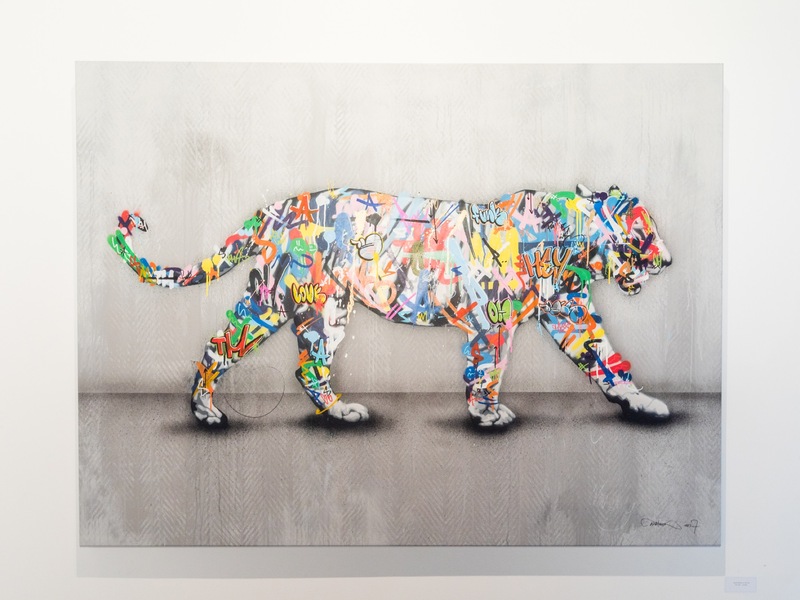 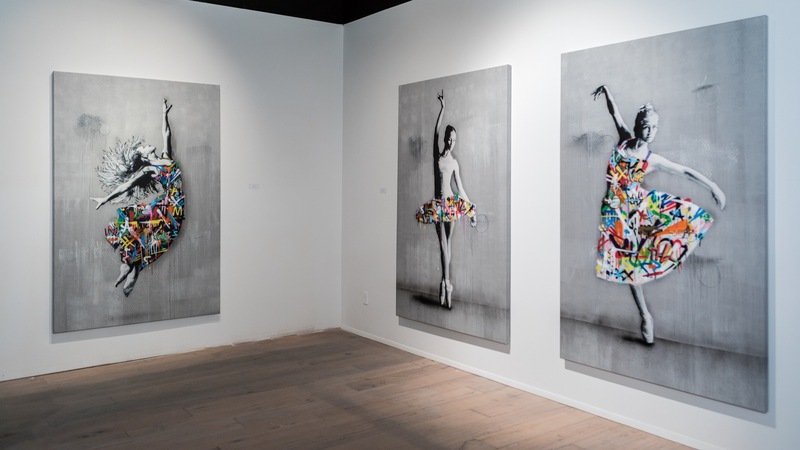 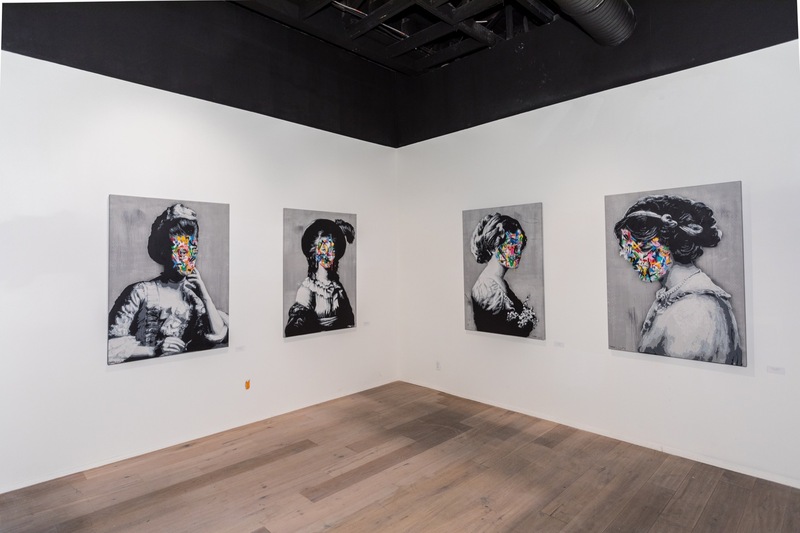 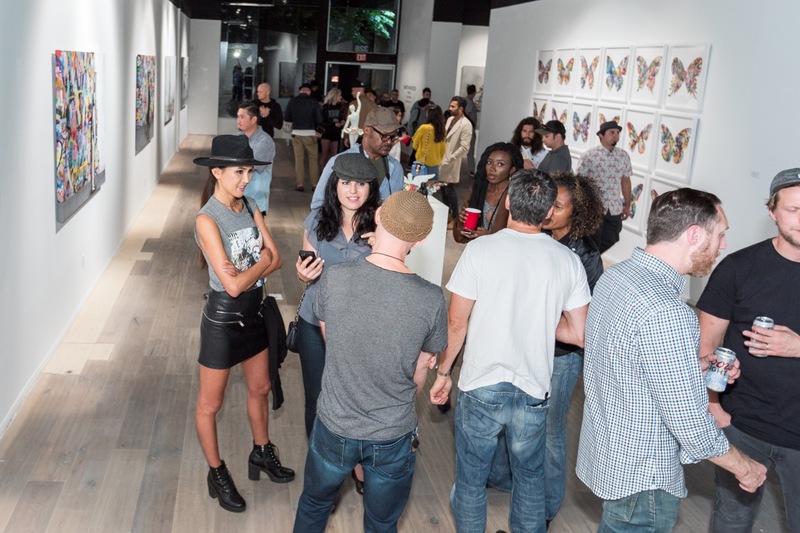 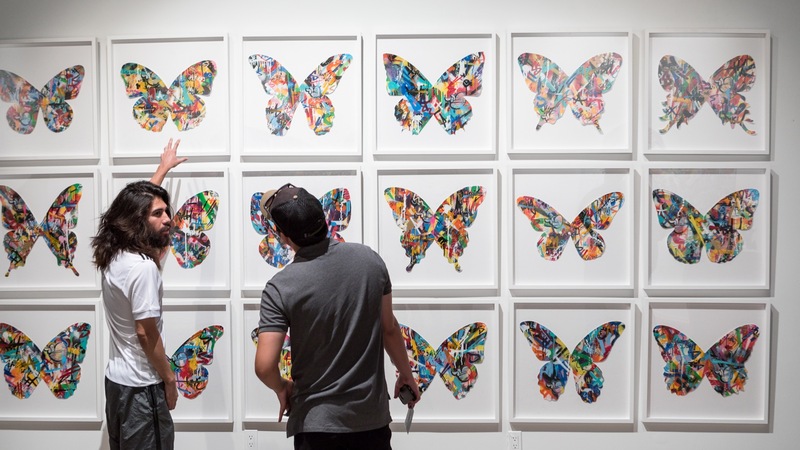 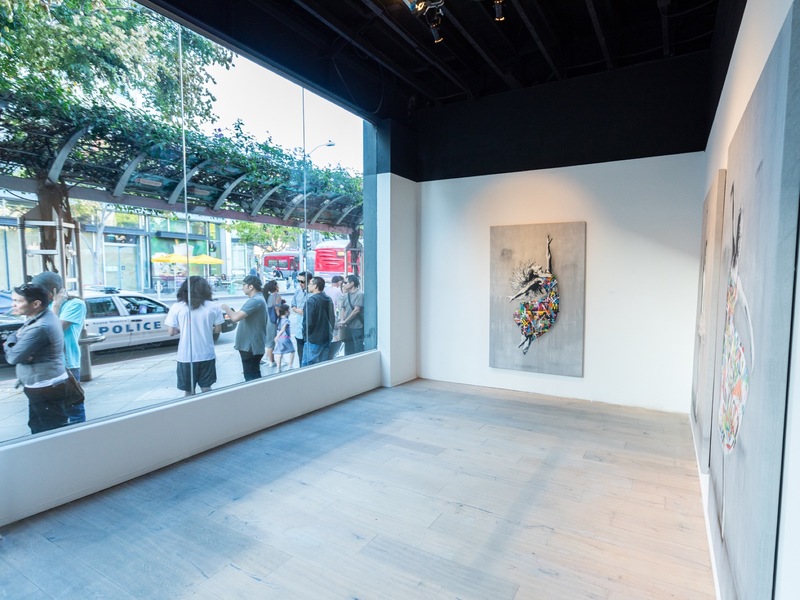 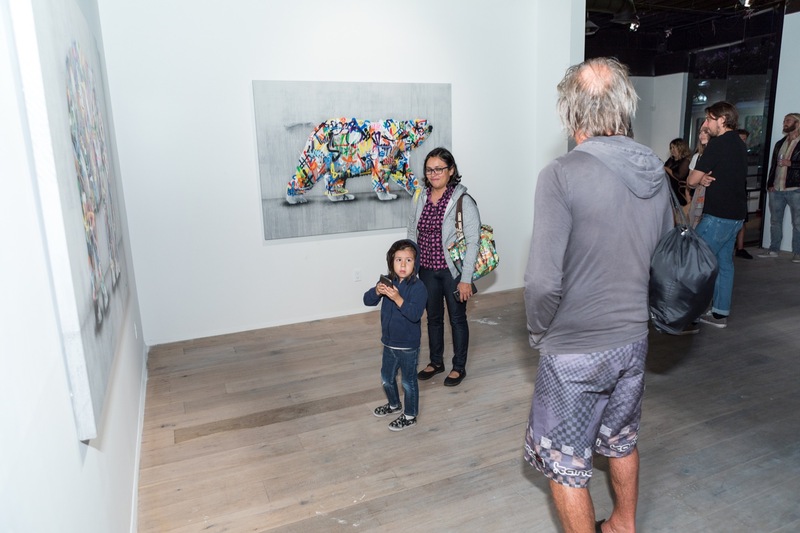 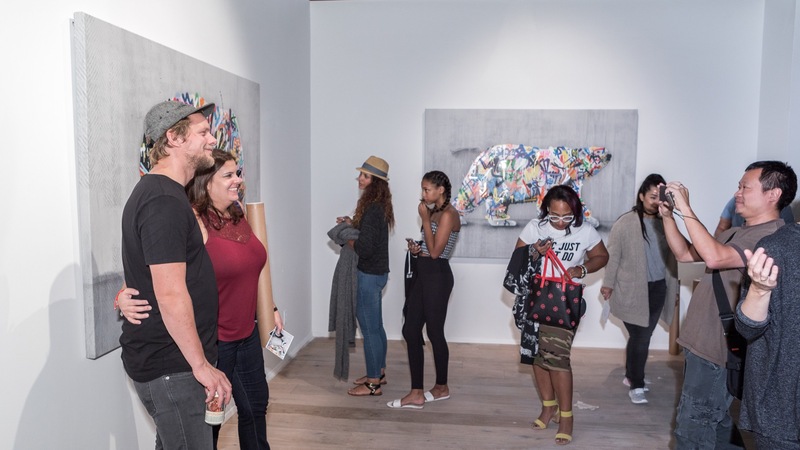 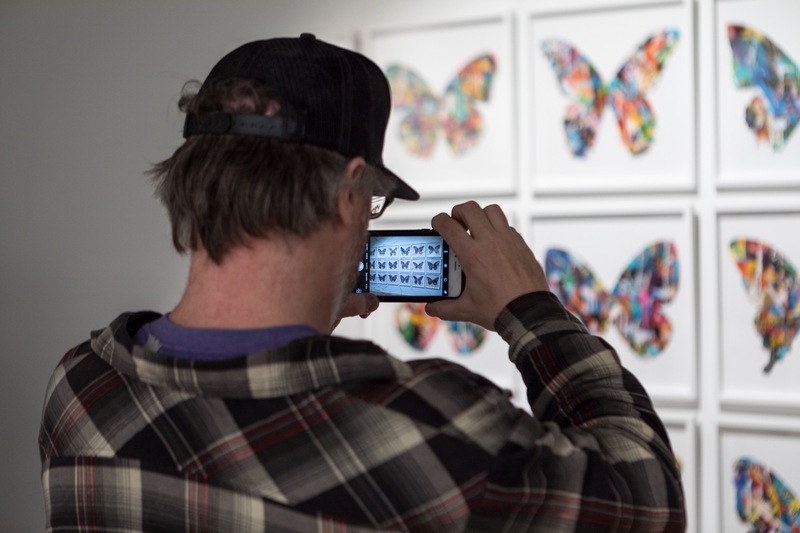 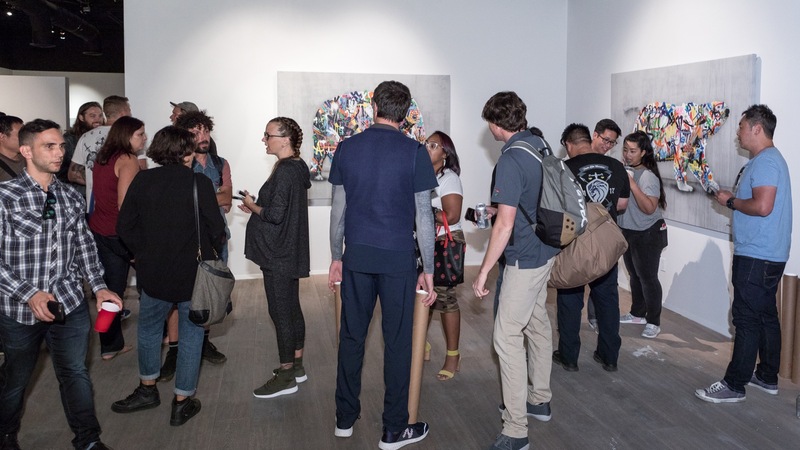 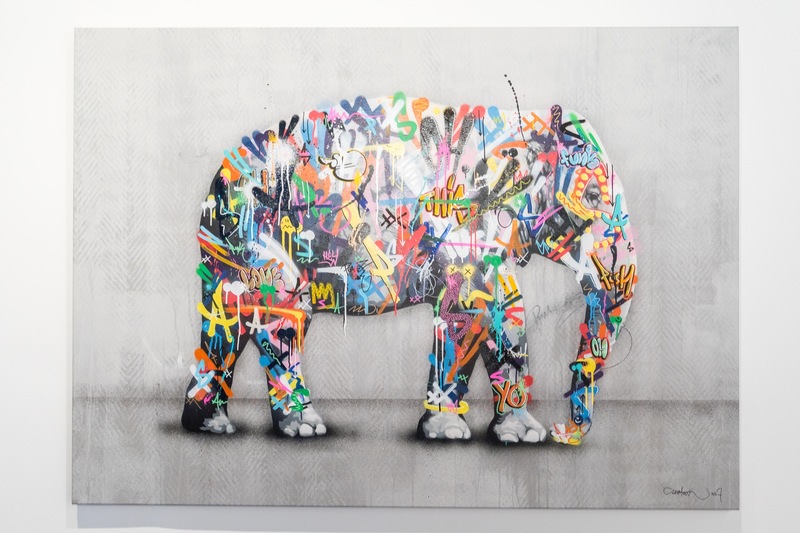 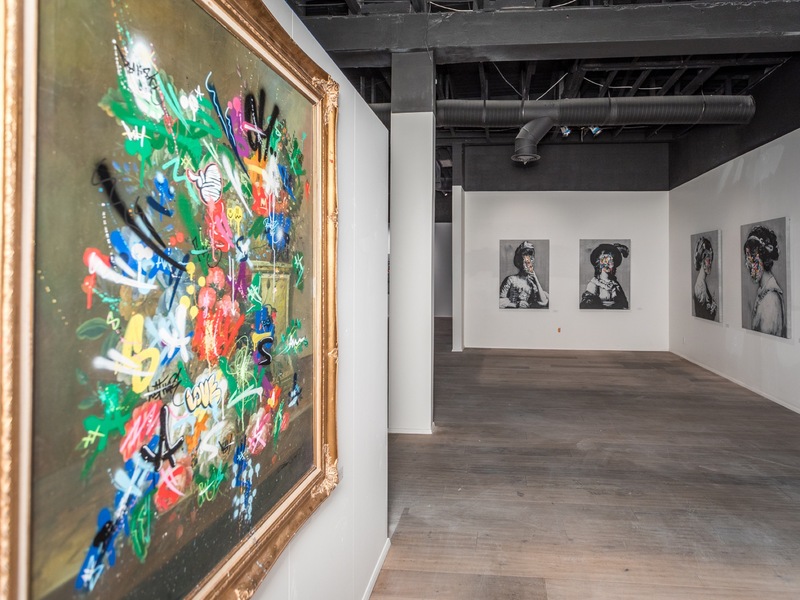 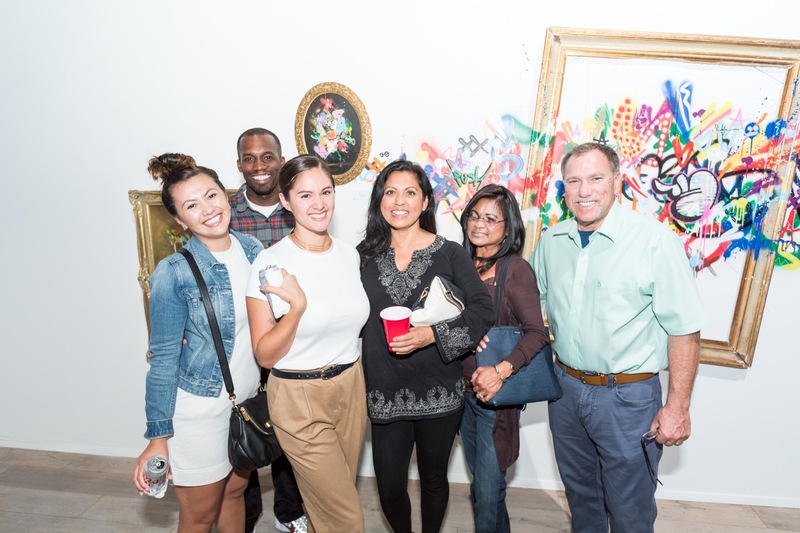 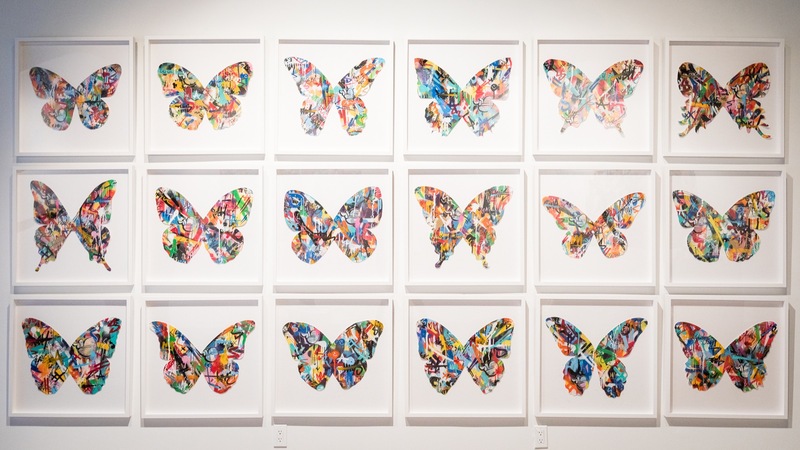 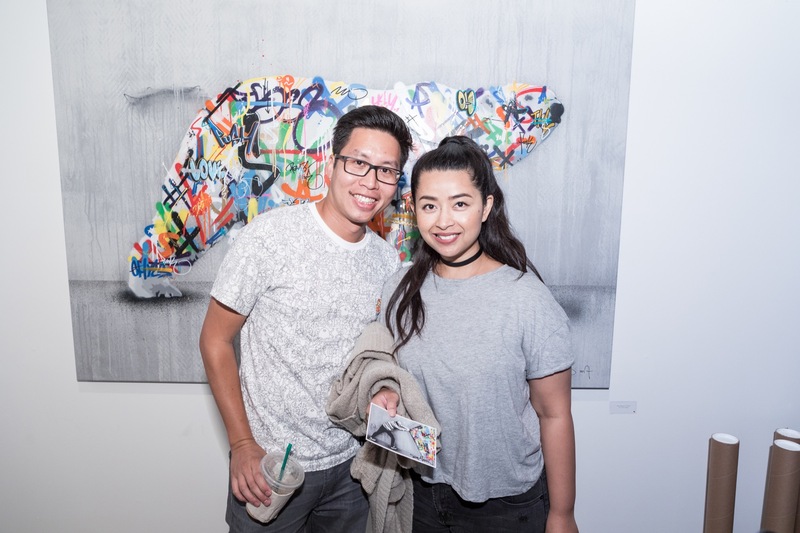 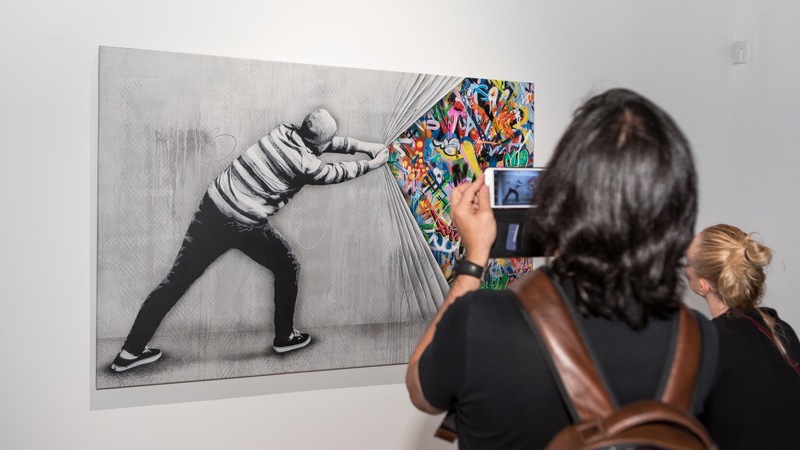 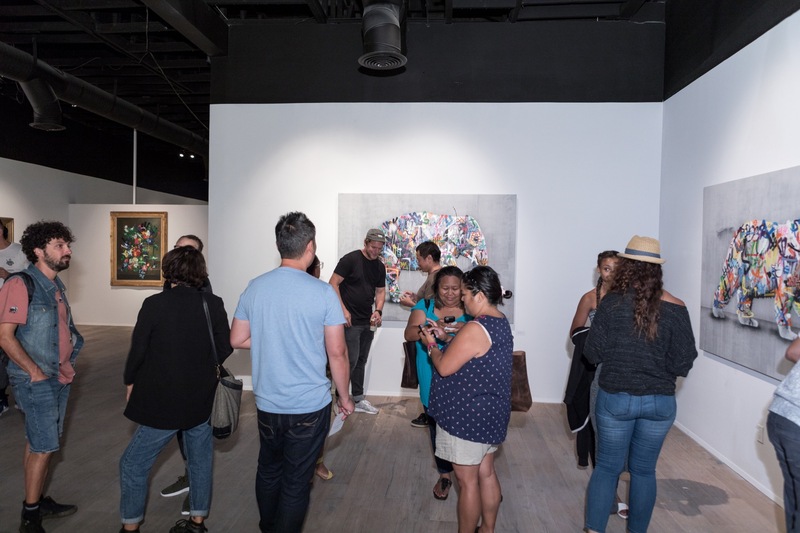 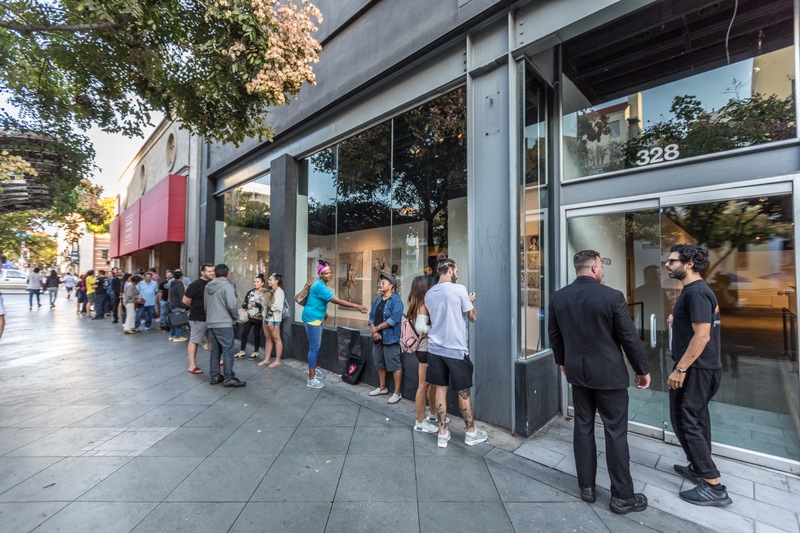 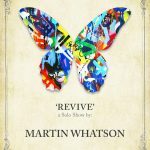 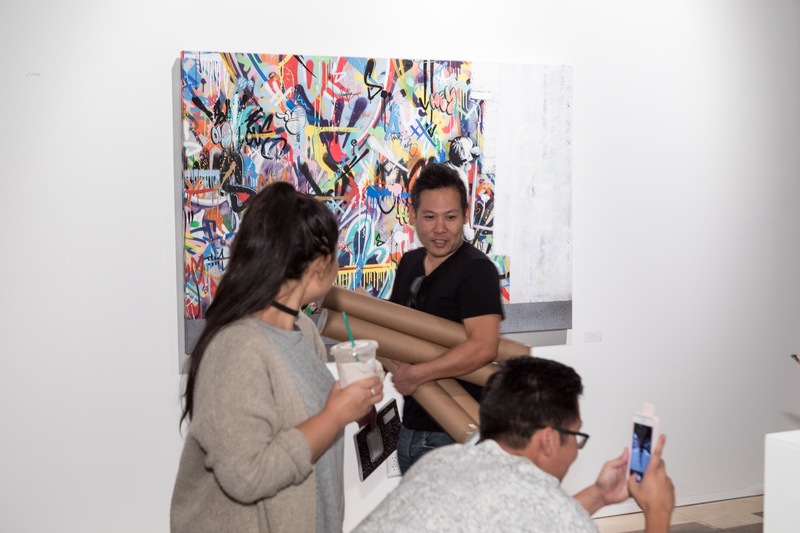 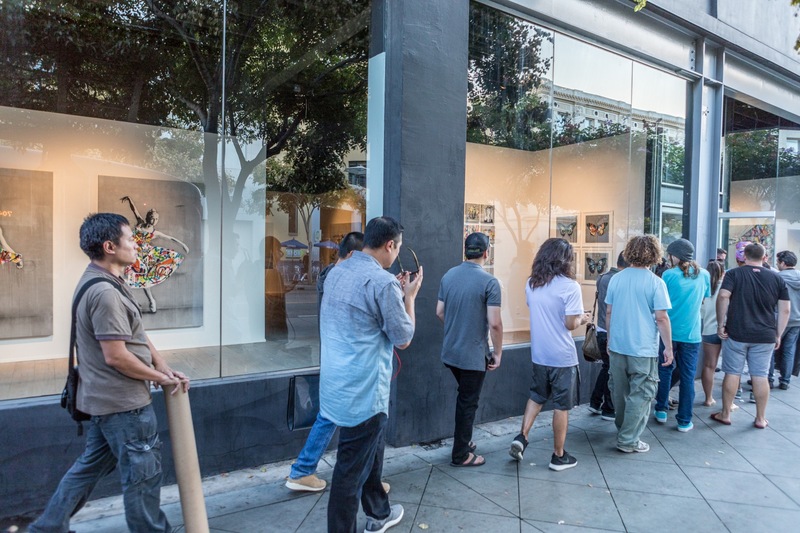 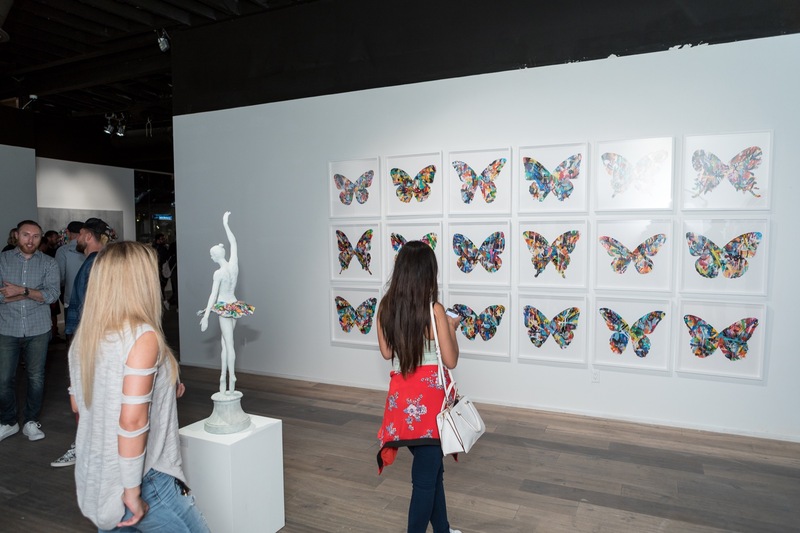 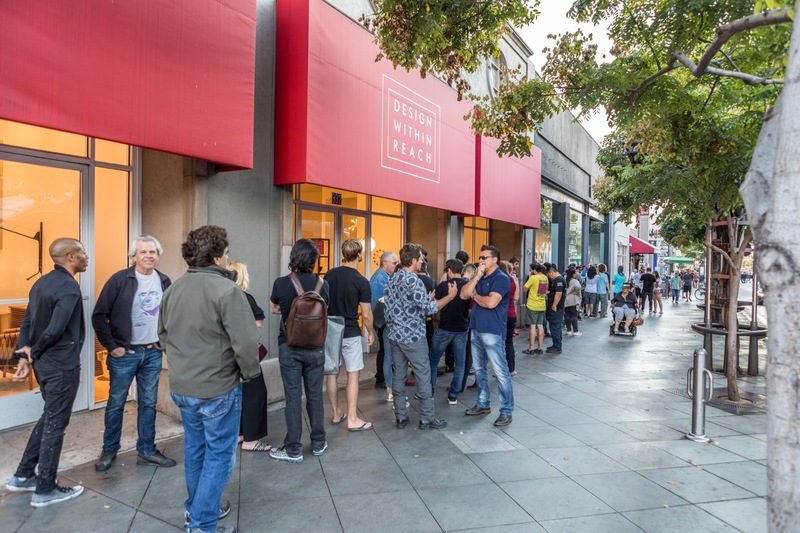 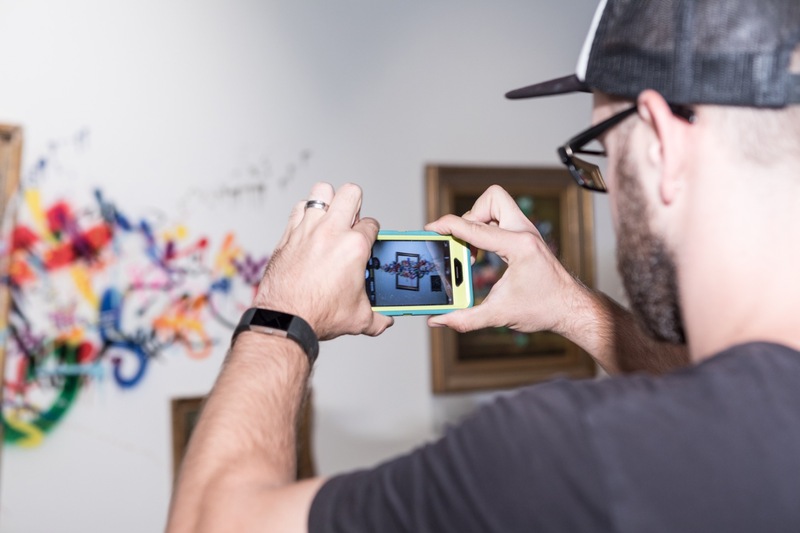 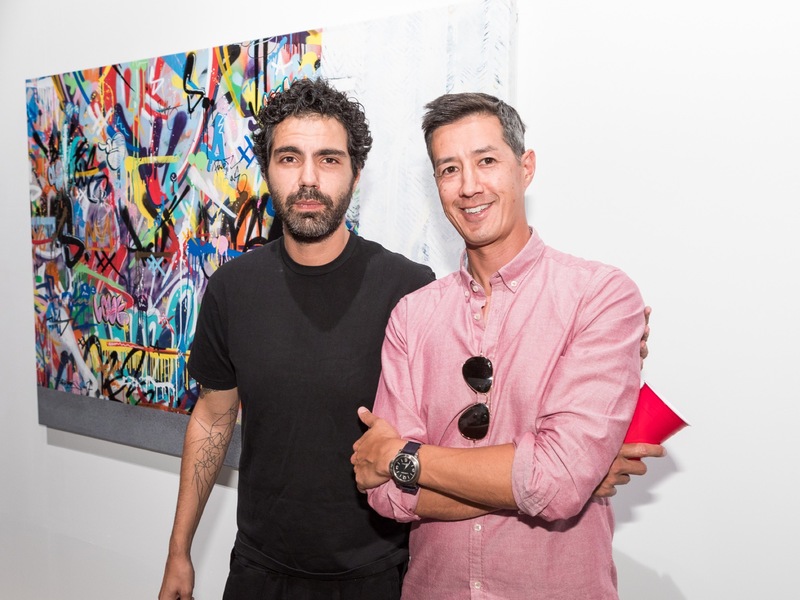 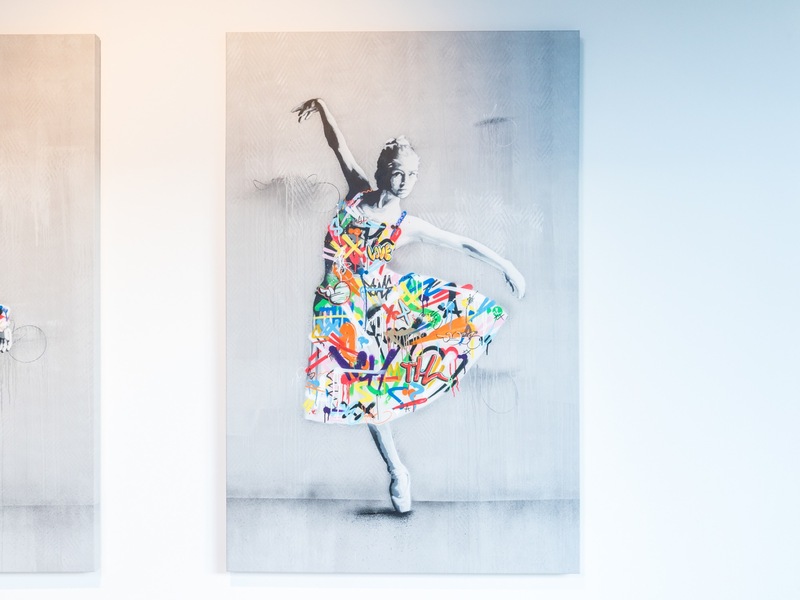 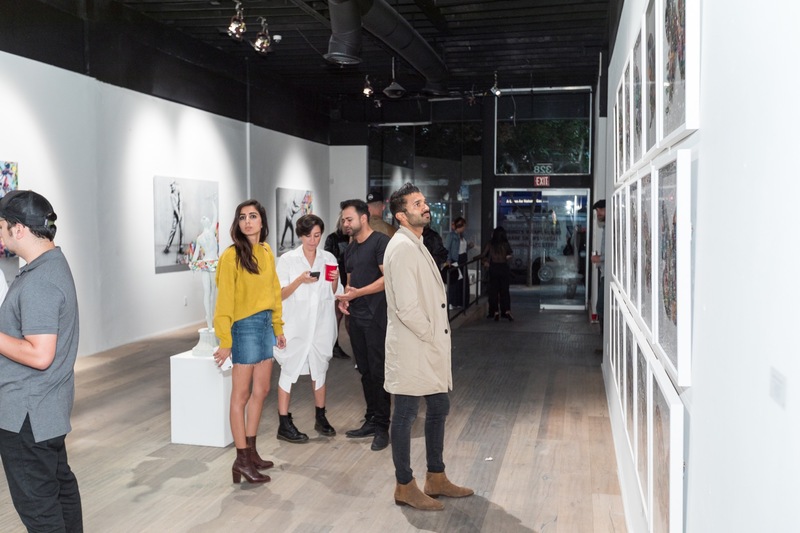 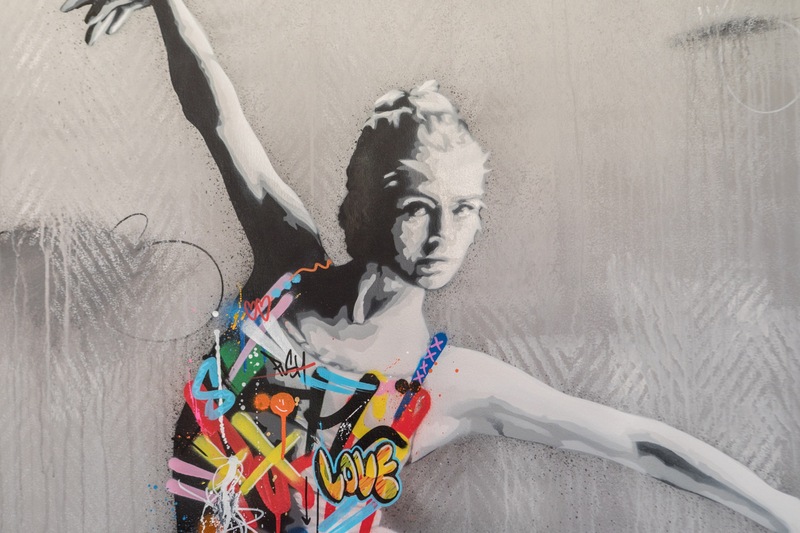 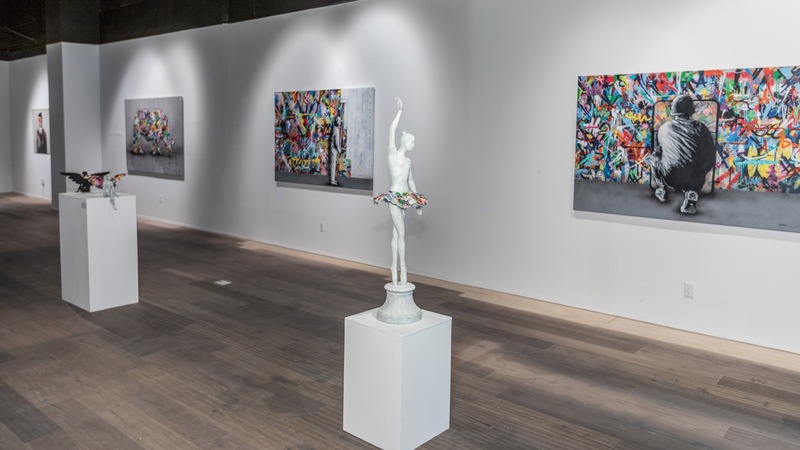 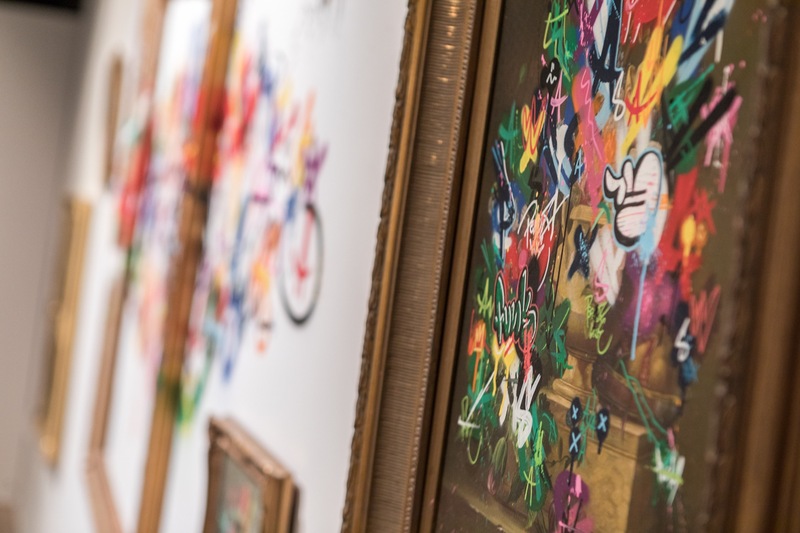 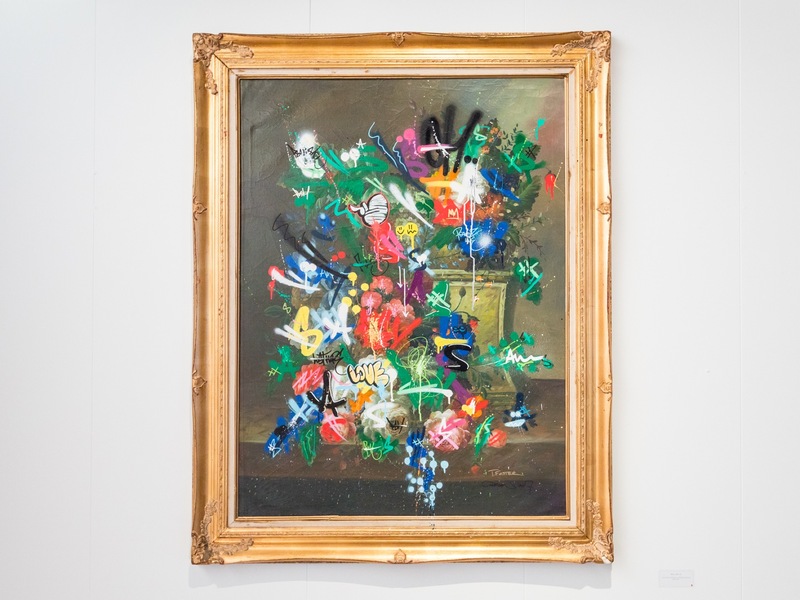 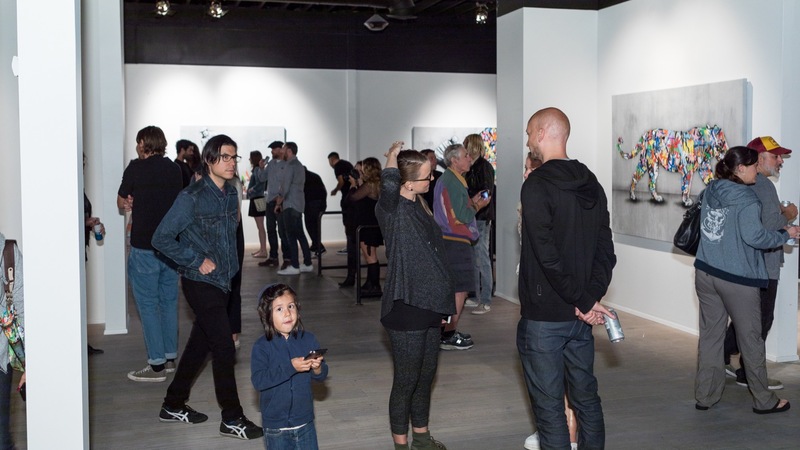 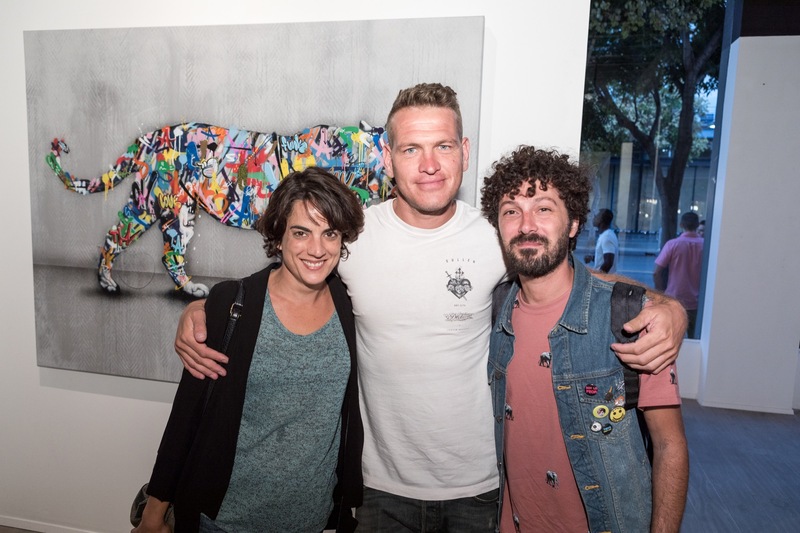 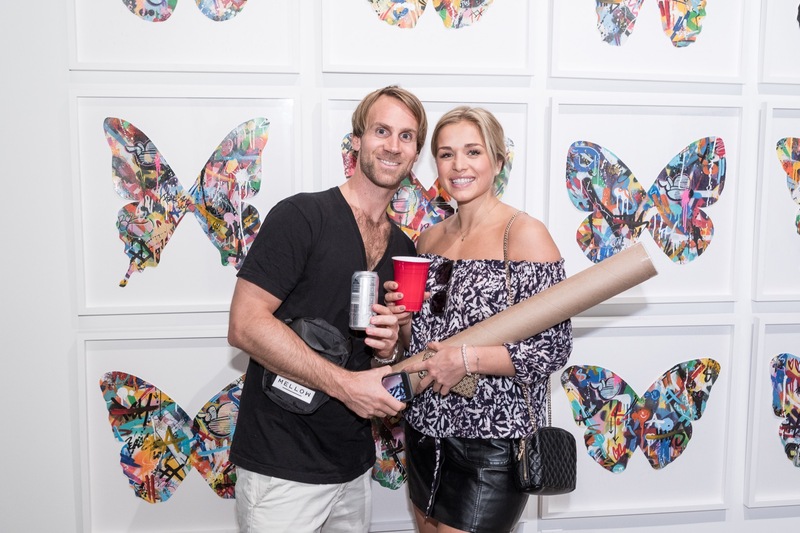 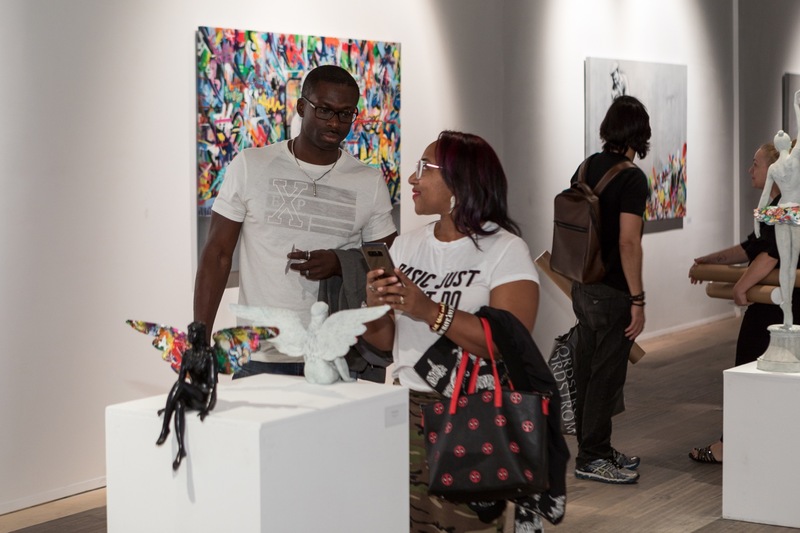 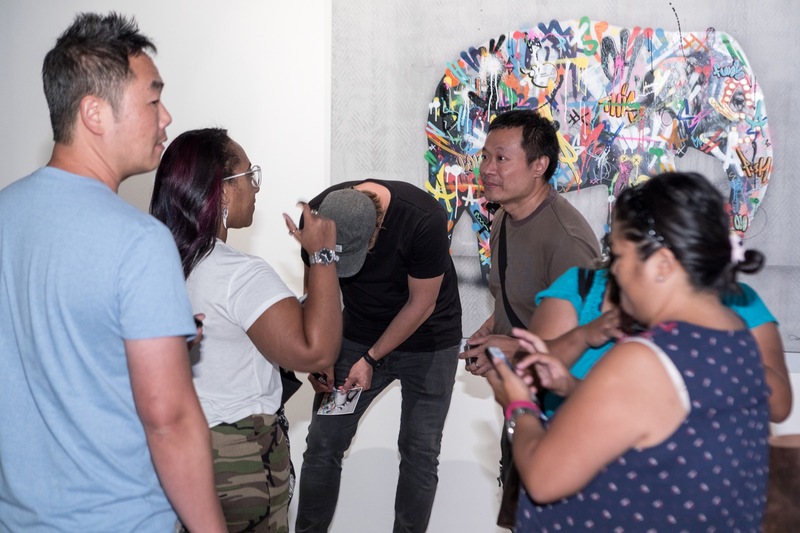 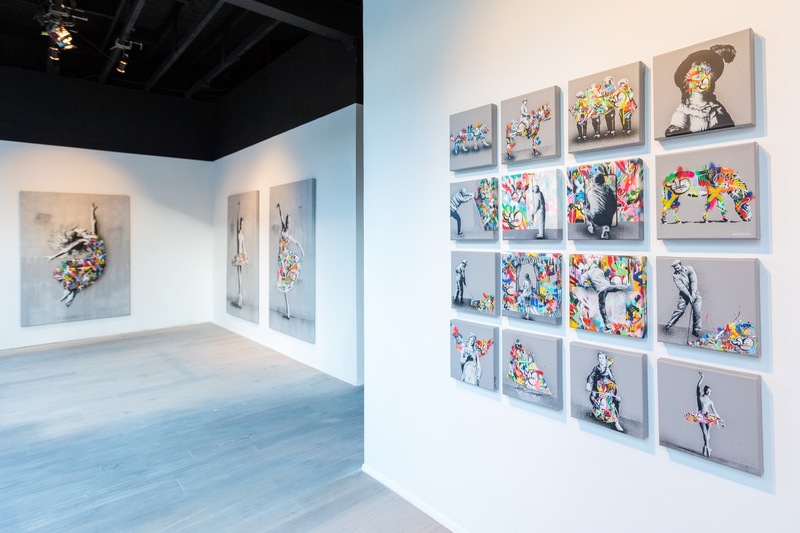 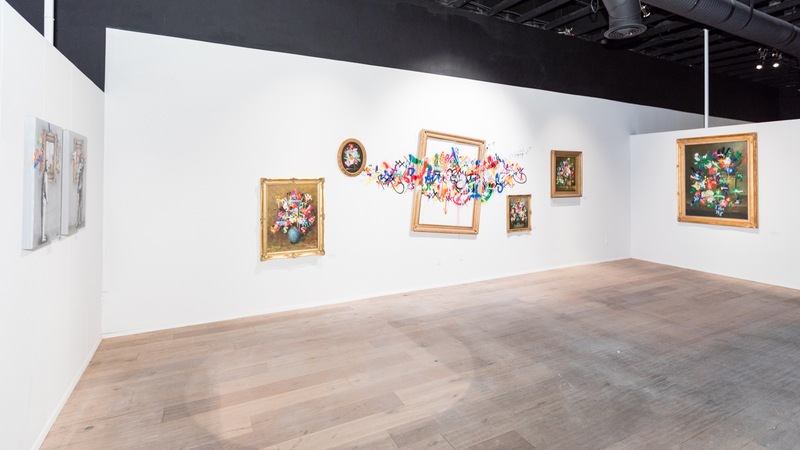 A few days ago, our friend Martin Whatson launched his biggest solo exhibition to date with RexRomae Gallery on the sunny streets of Los Angeles. 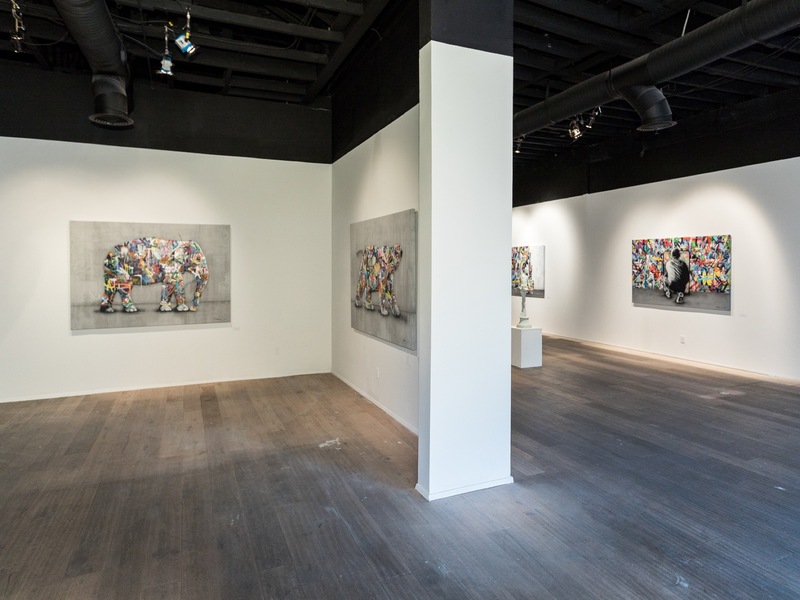 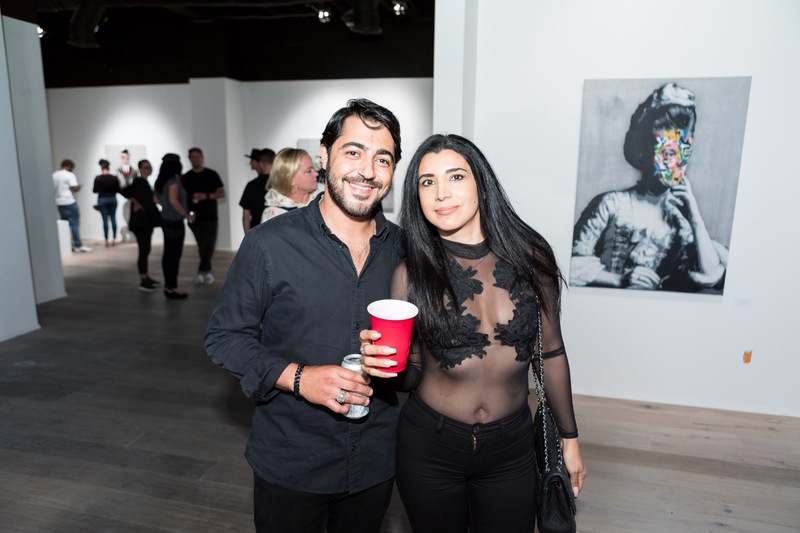 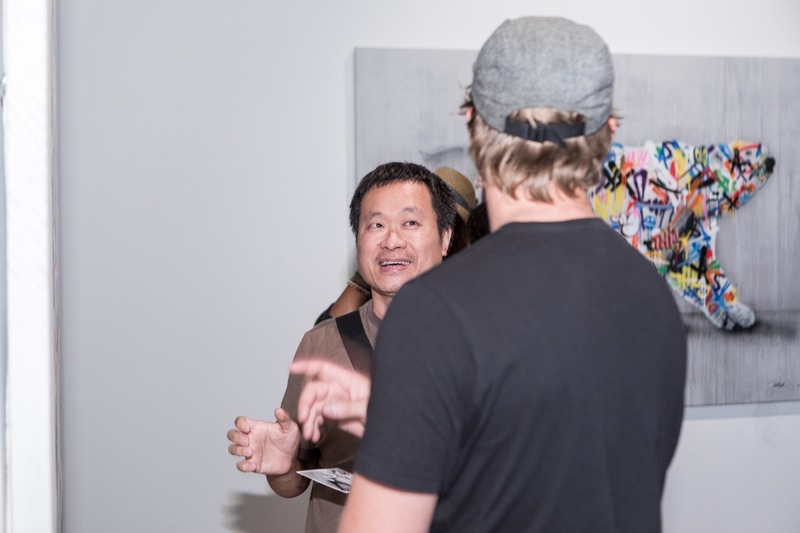 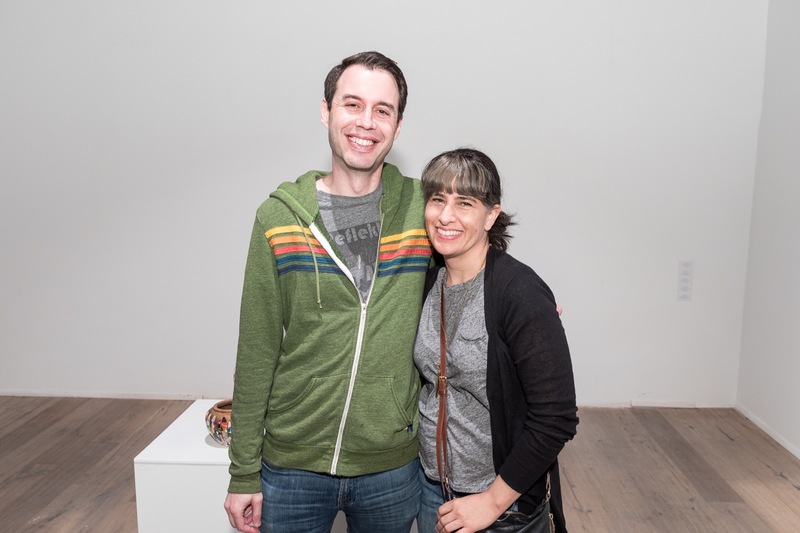 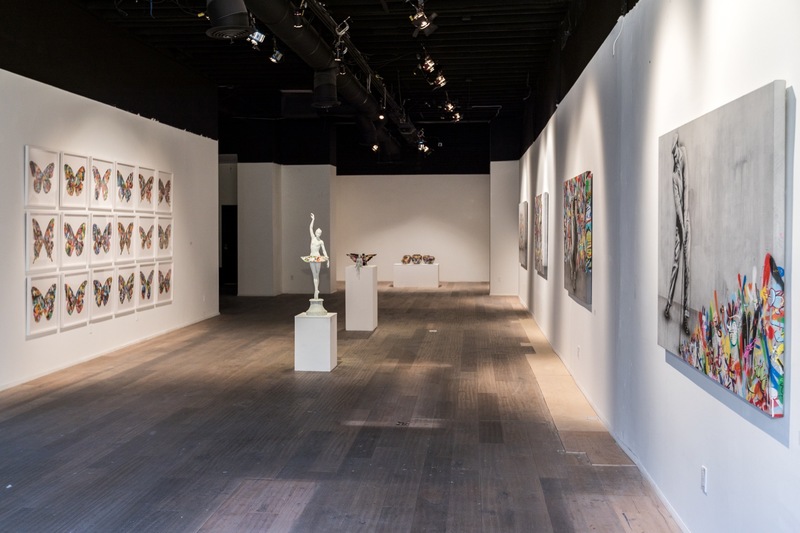 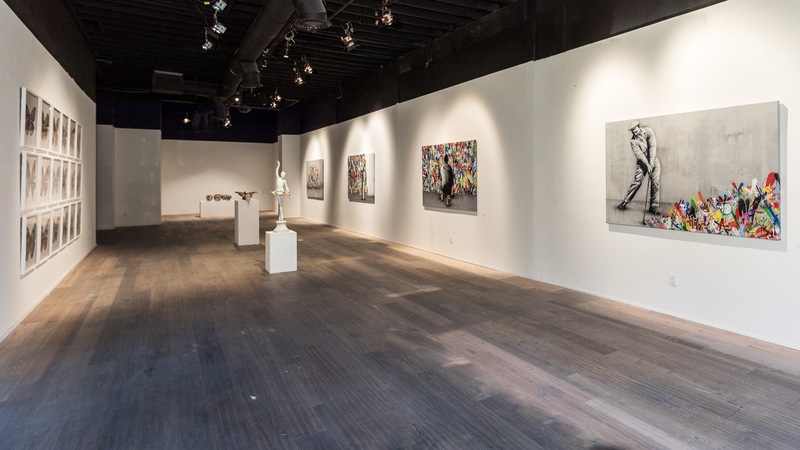 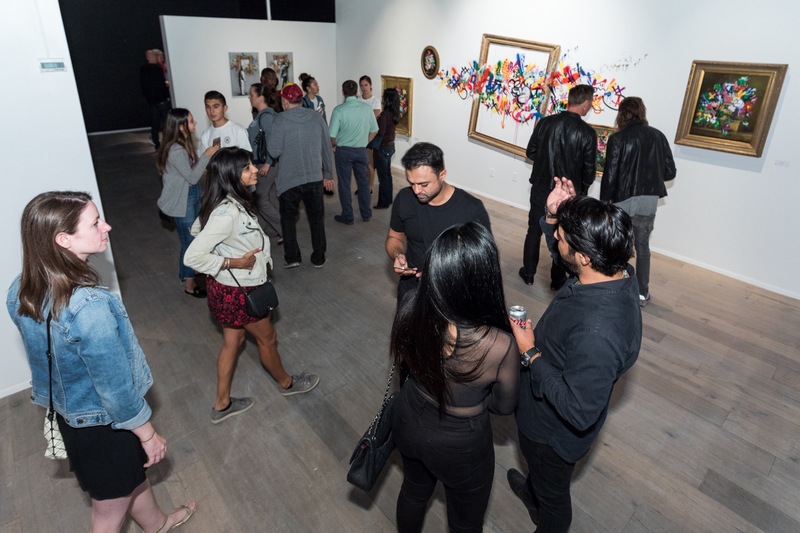 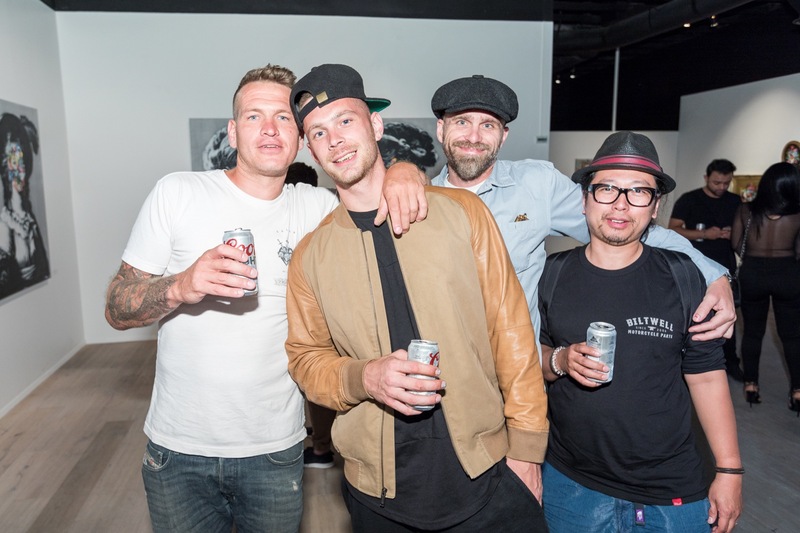 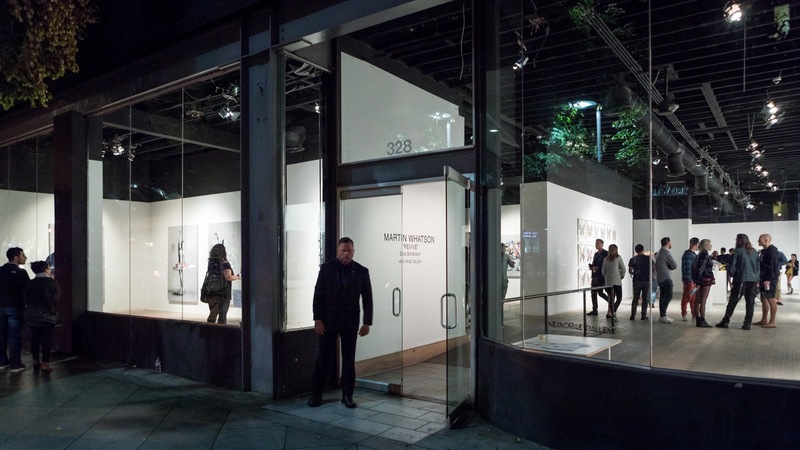 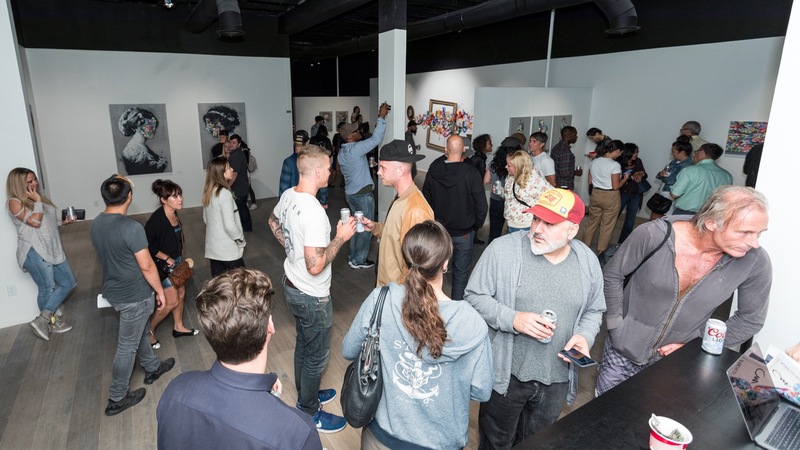 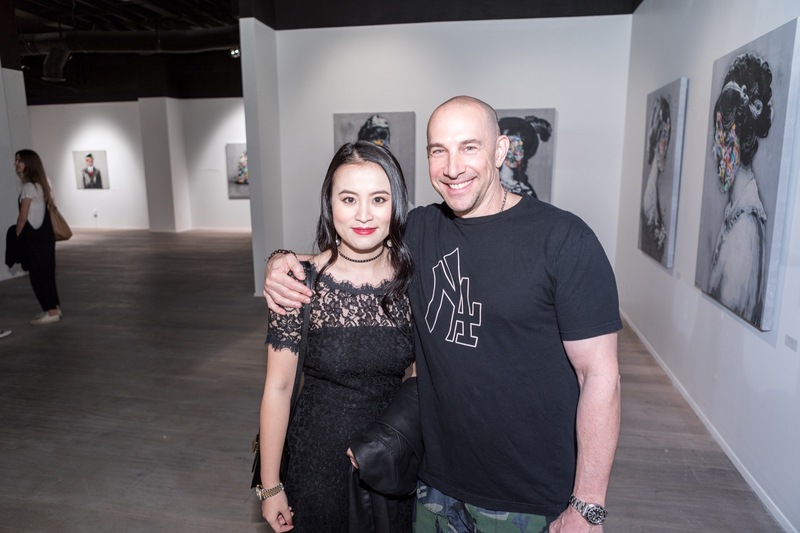 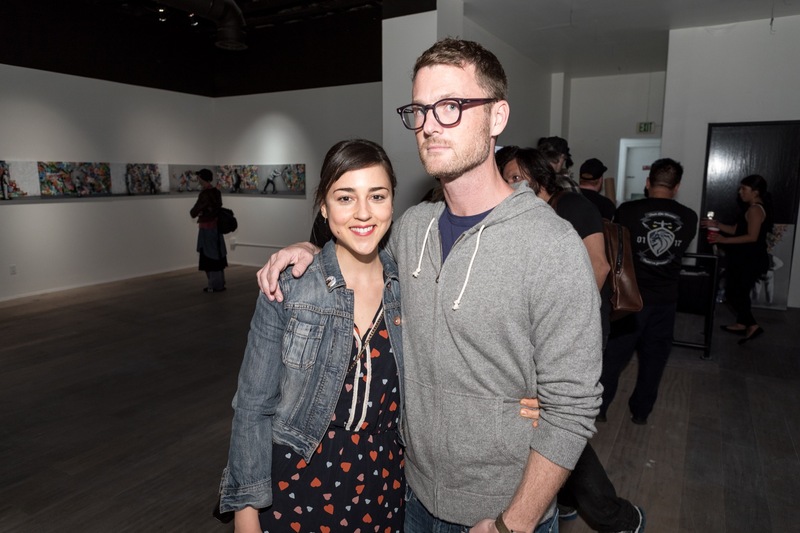 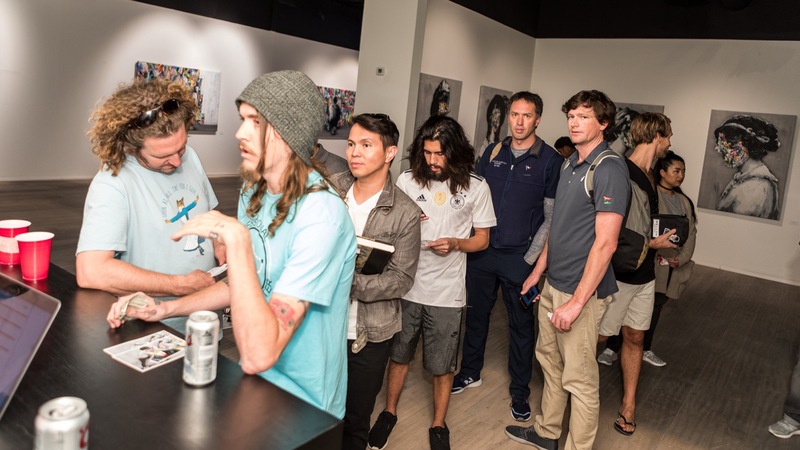 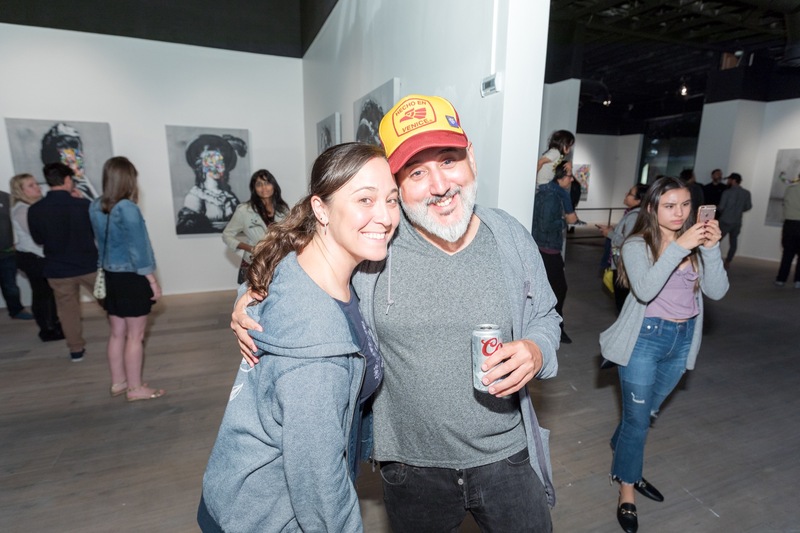 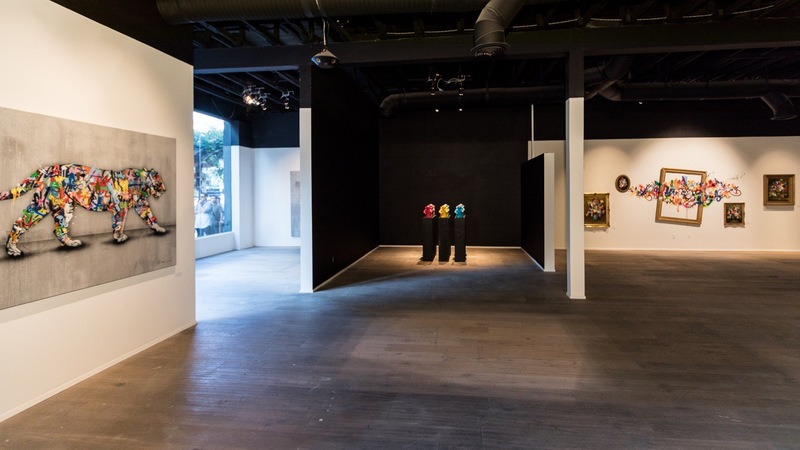 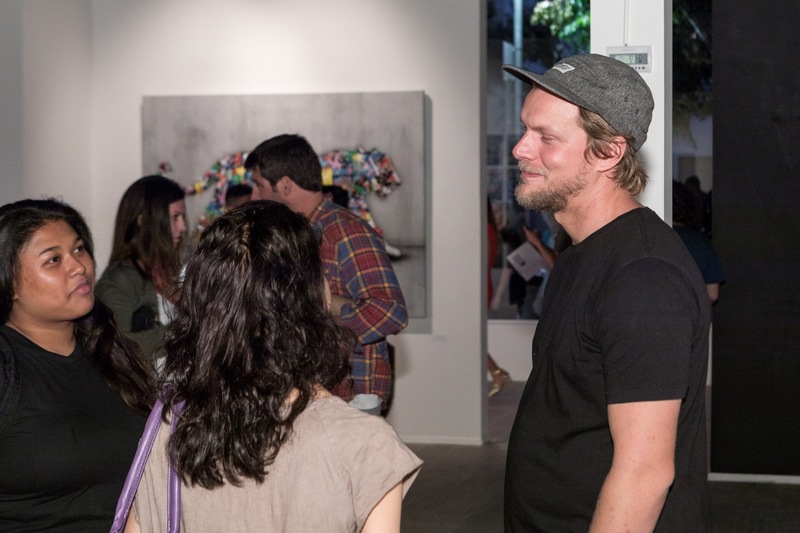 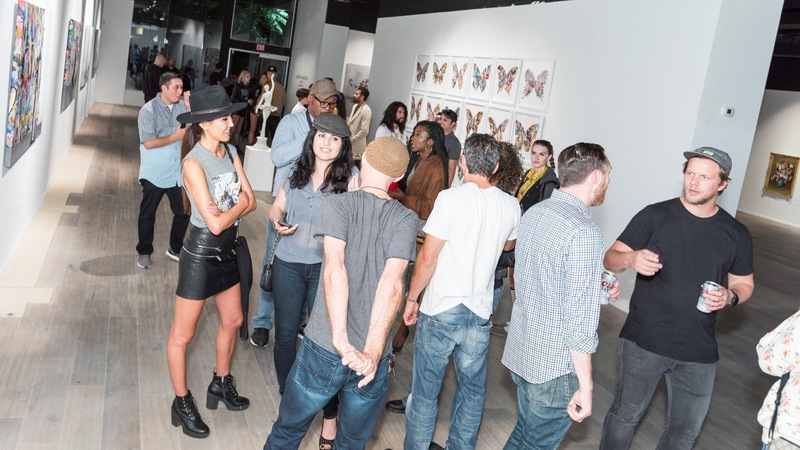 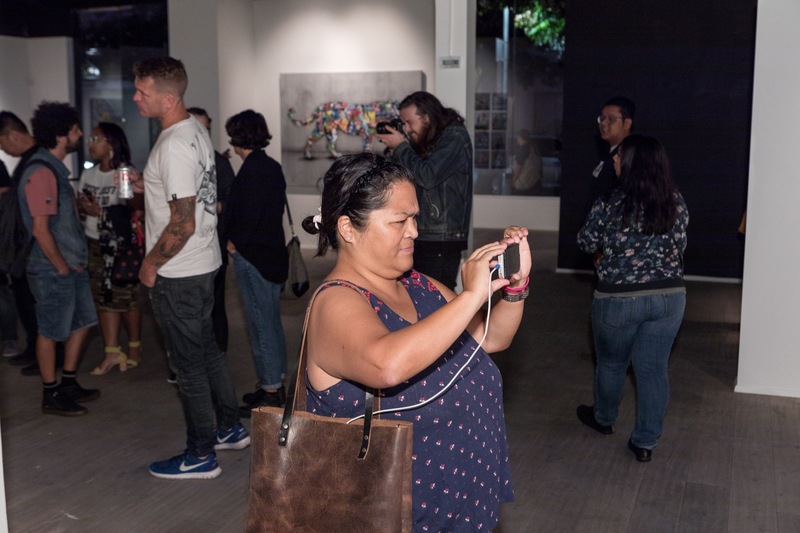 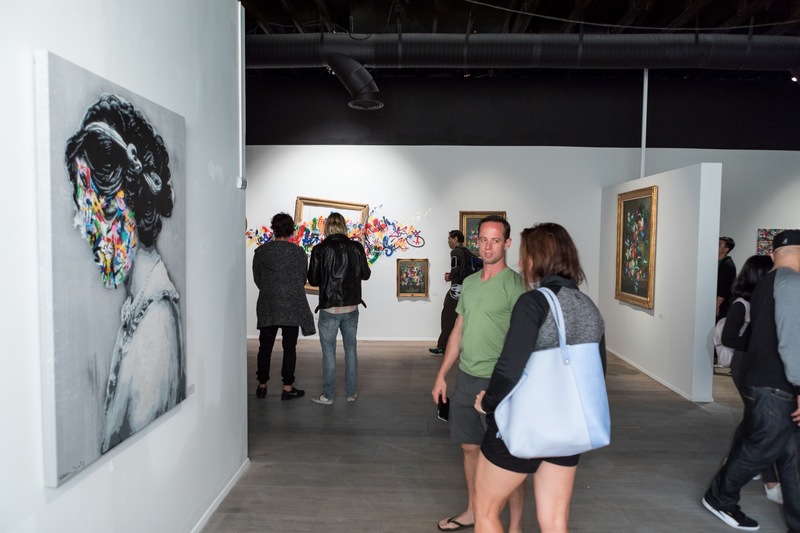 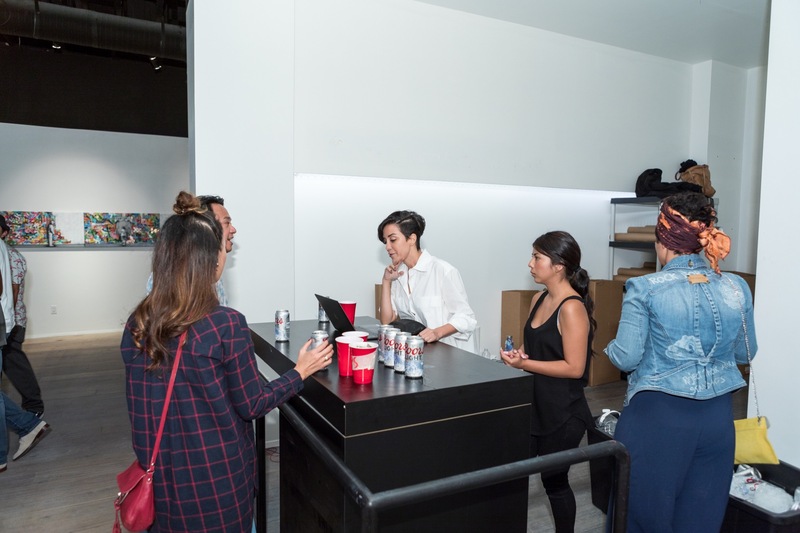 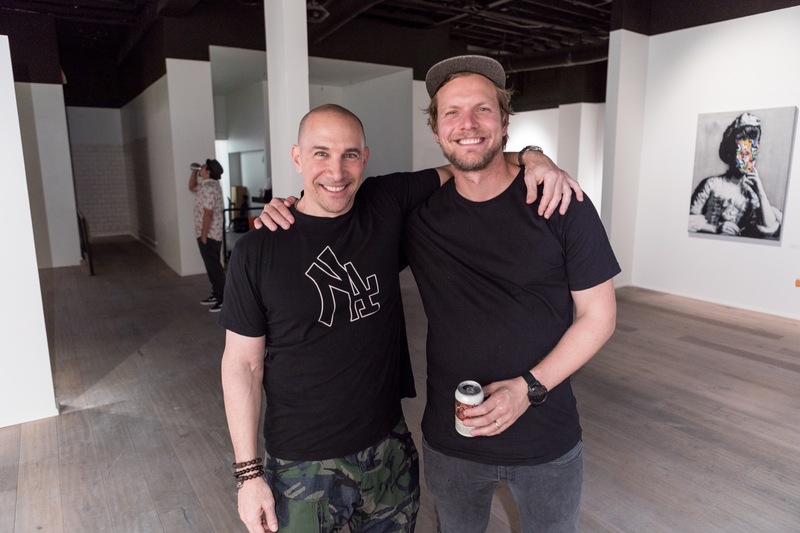 The show entitled “REVIVE” was curated by Rom Levy and located in a large and beautiful pop up space in Santa Monica. 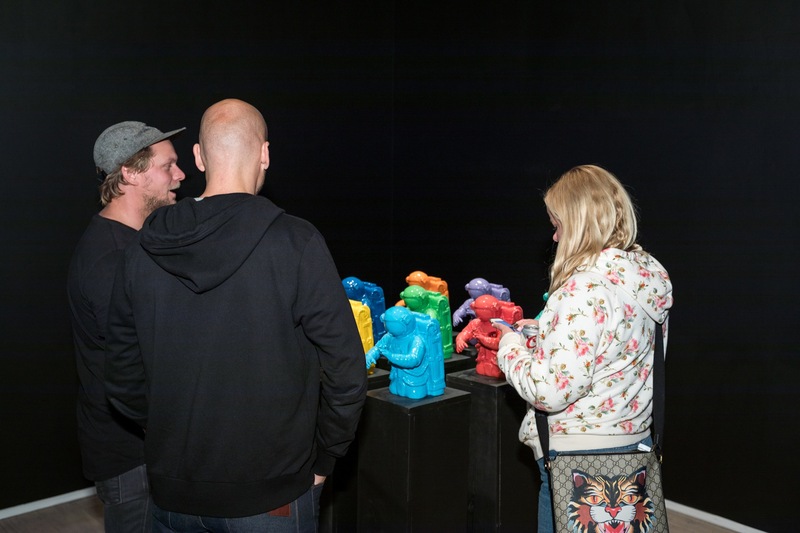 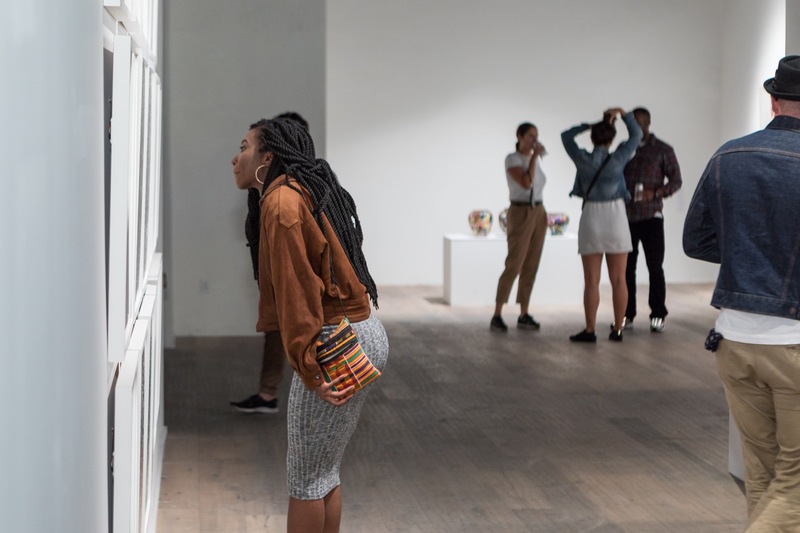 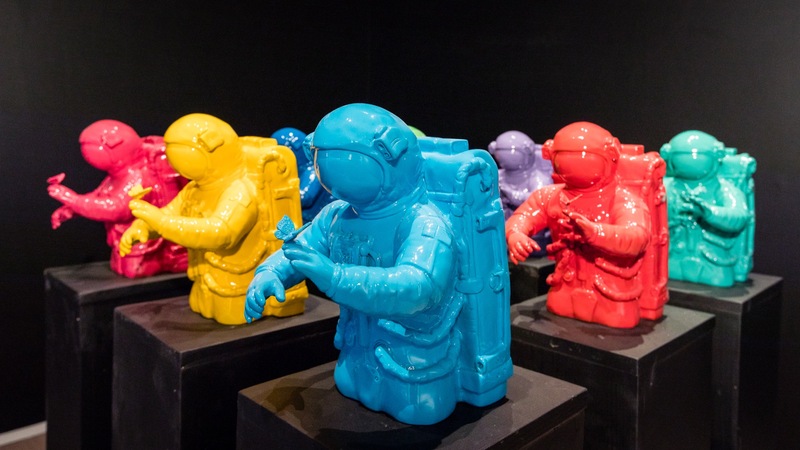 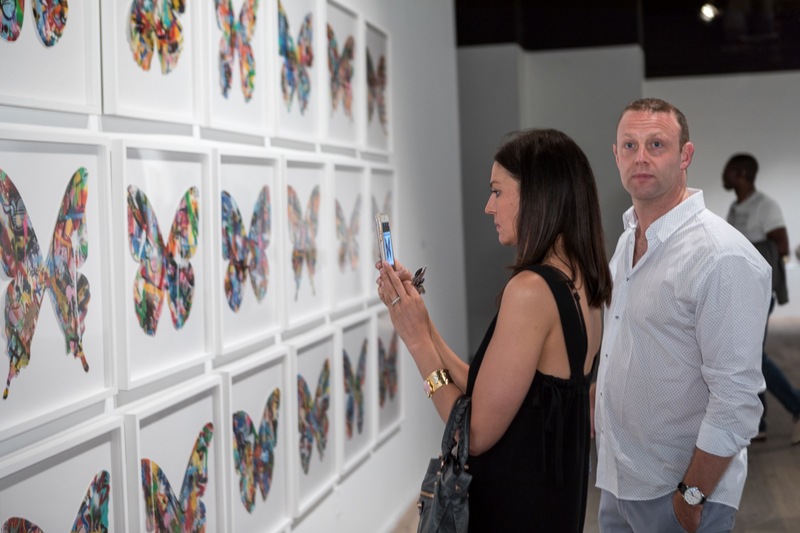 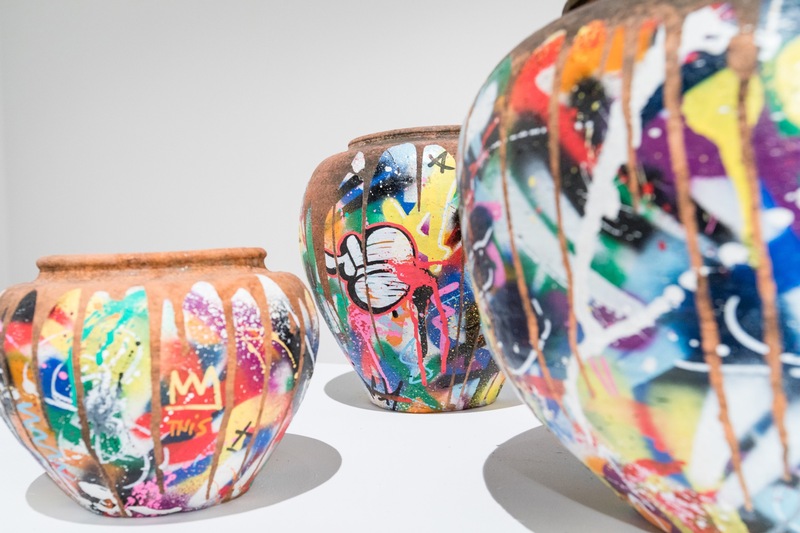 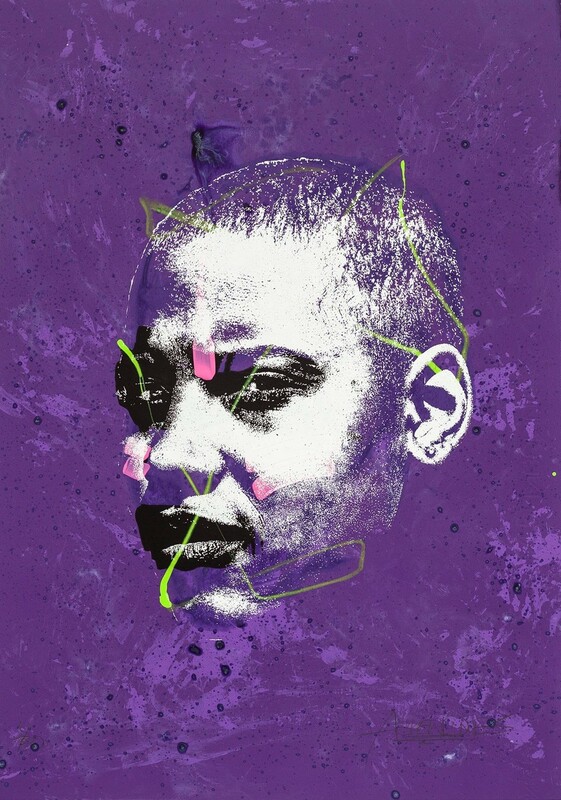 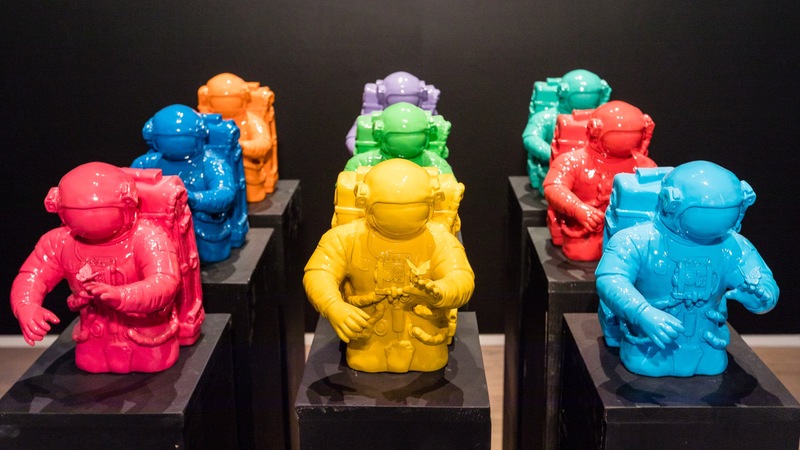 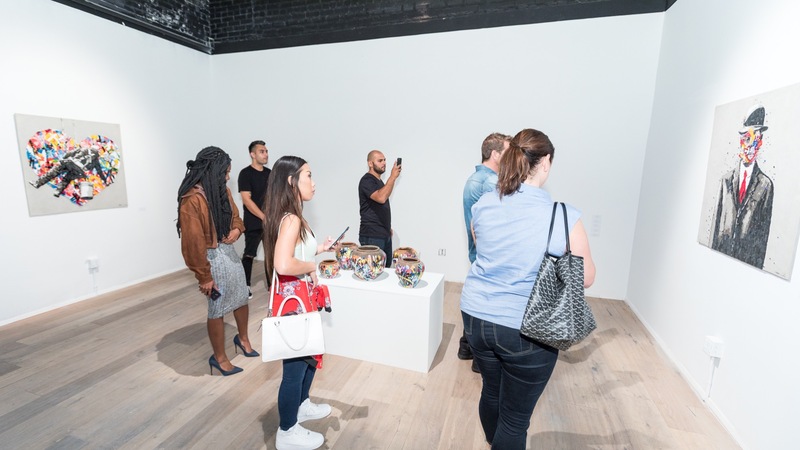 The exhibition marked a new phase in the artist’s creative direction. 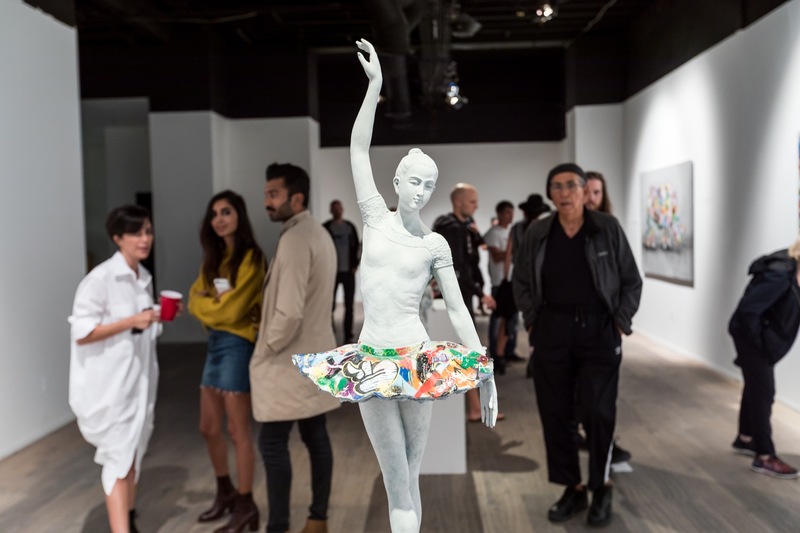 Found objects are reworked and repurposed to draw into question the individual status and collective value assigned to ‘raw materials’. 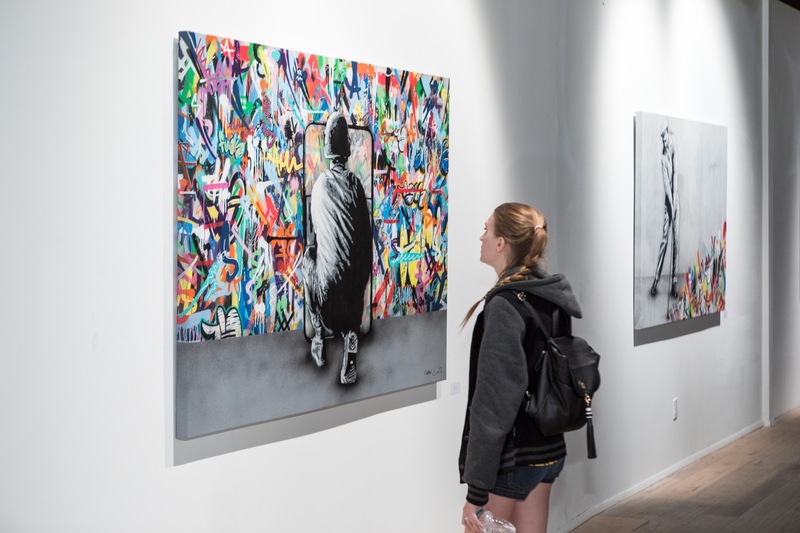 In a jam packed venue, the attendees were in for a real treat with several of Martin’s iconic images on display such as “Behind The Curtain” or “Zero Tolerance”. 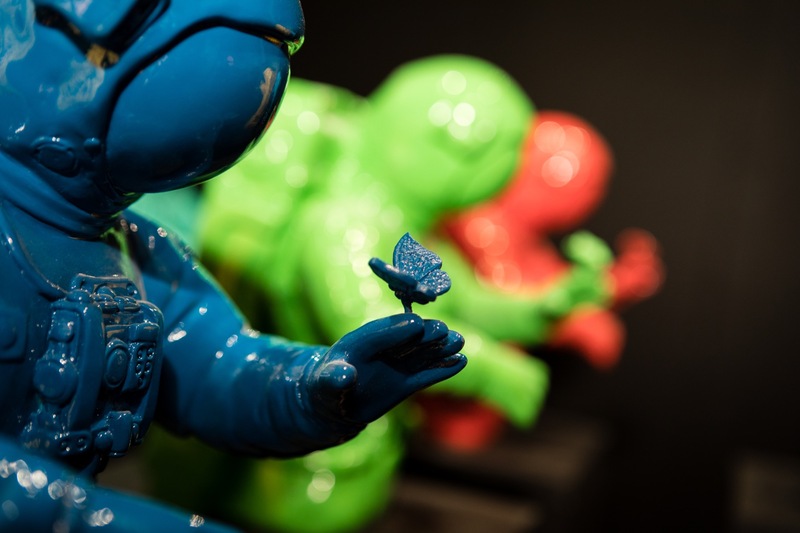 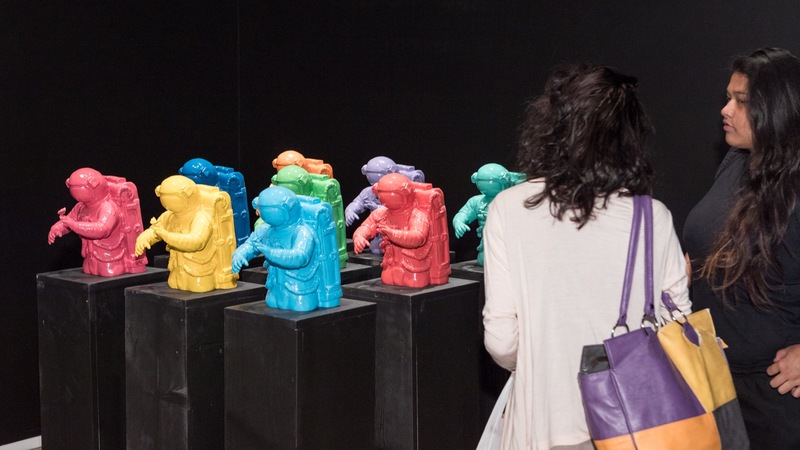 Additionally, several hand-painted Bronze sculptures, ancient pottery and installations were also on display. 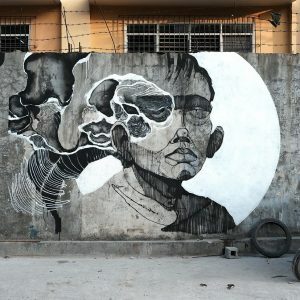 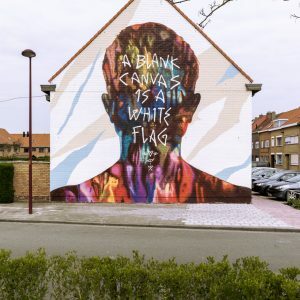 Take a look at more images by Birdman after the break and keep checking back with us for the latest galleries and street art updates from around the world.